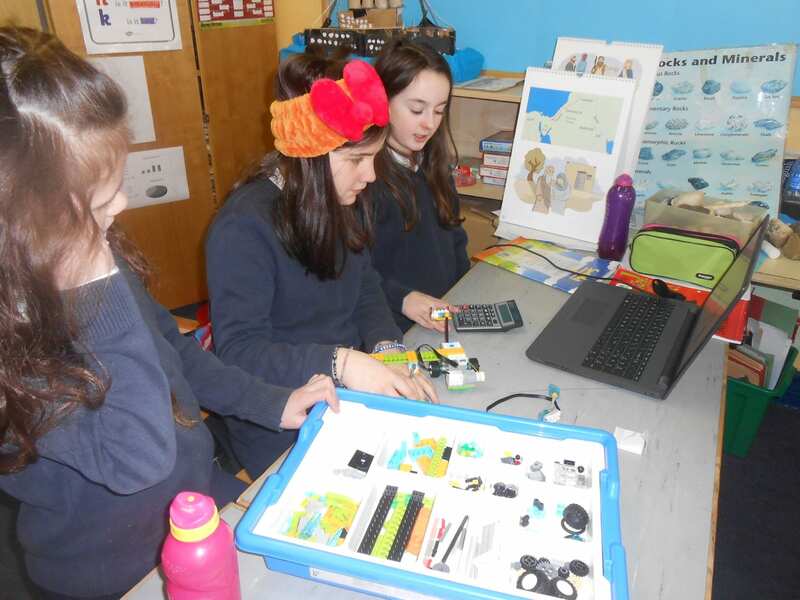 Engineers Week is a week-long programme of nationwide events with the aim of celebrating the world of engineering in Ireland. 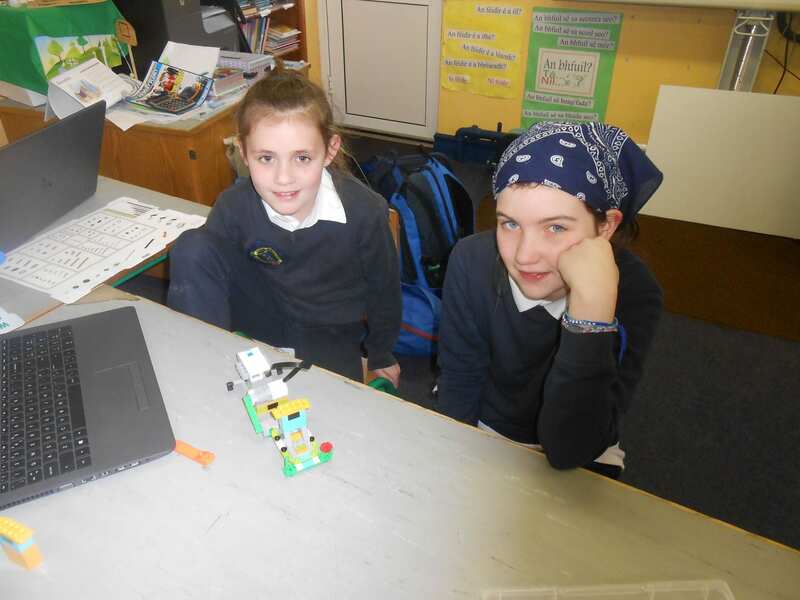 Coordinated by the Engineers Ireland STEPS programme this week is an opportunity for everyone to raise awareness of the contribution of engineering to our society. 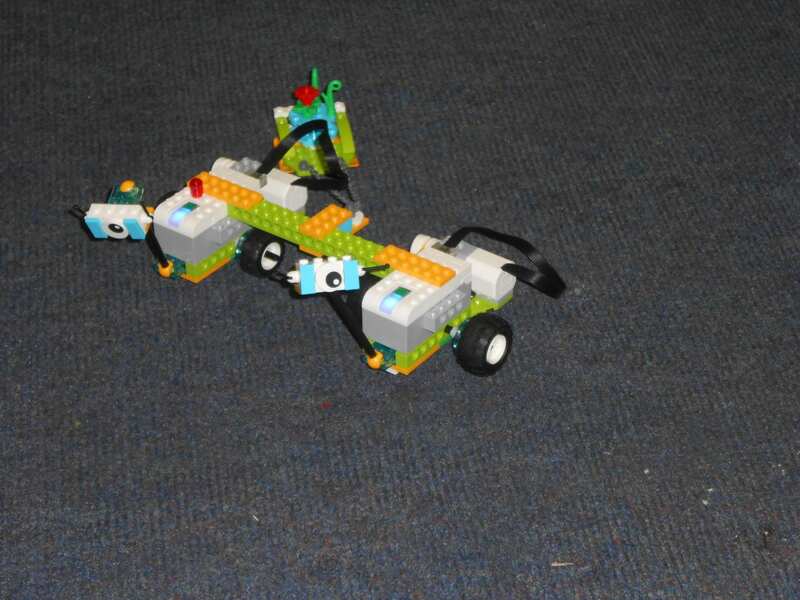 It was held in our school last week. 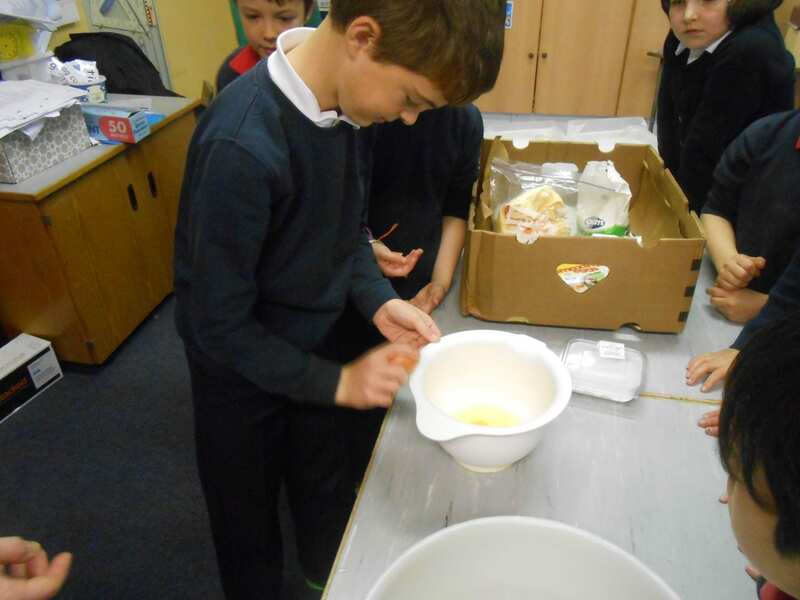 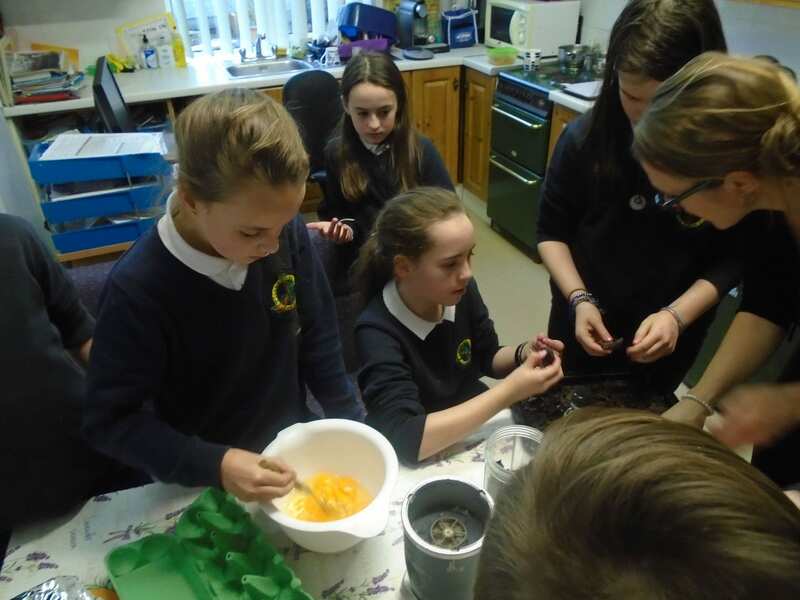 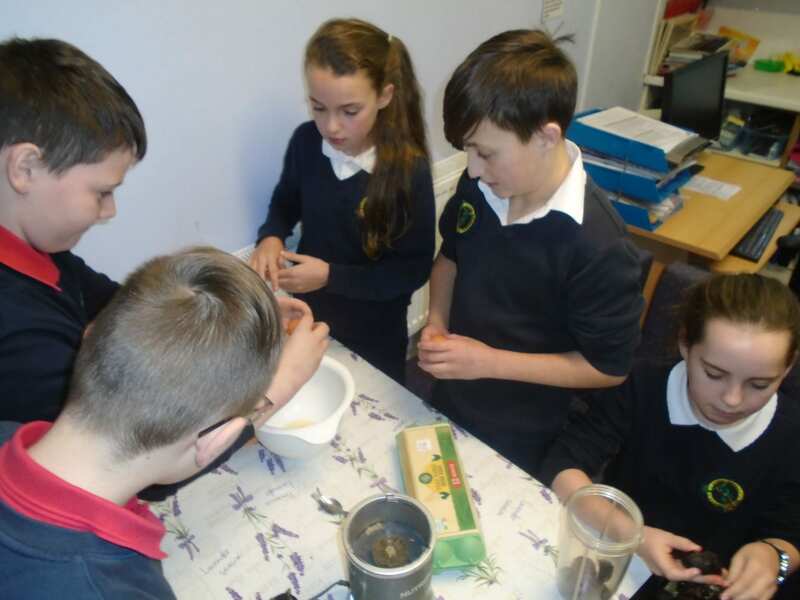 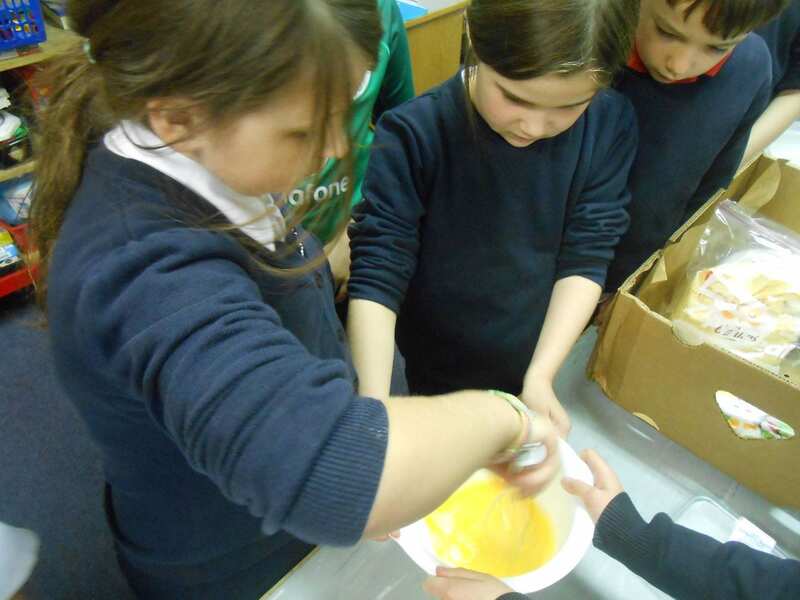 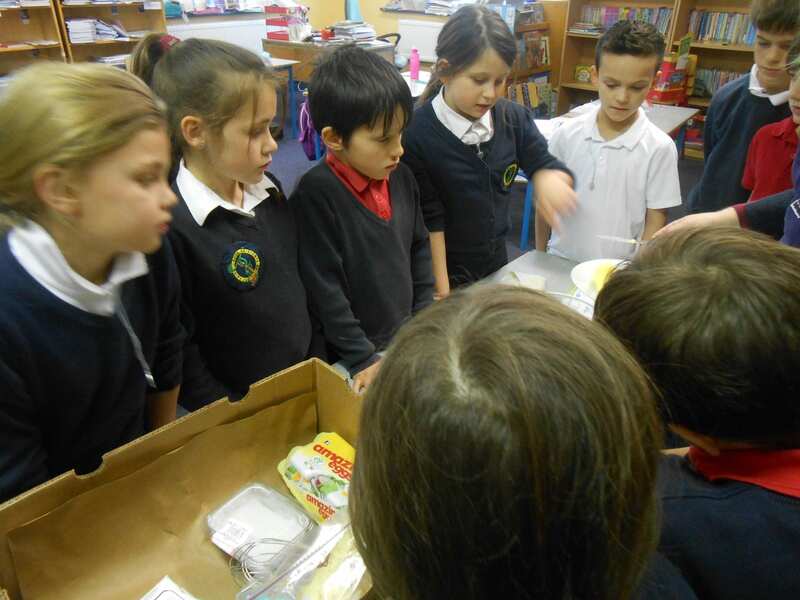 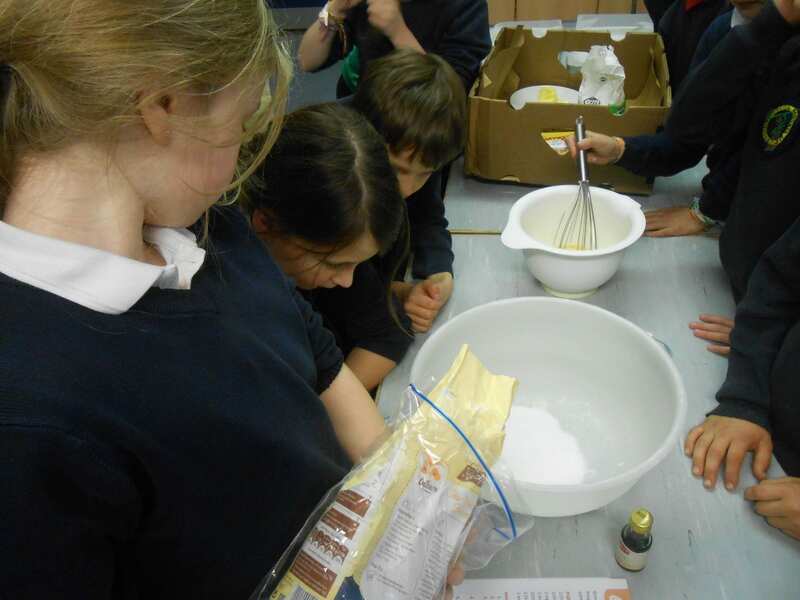 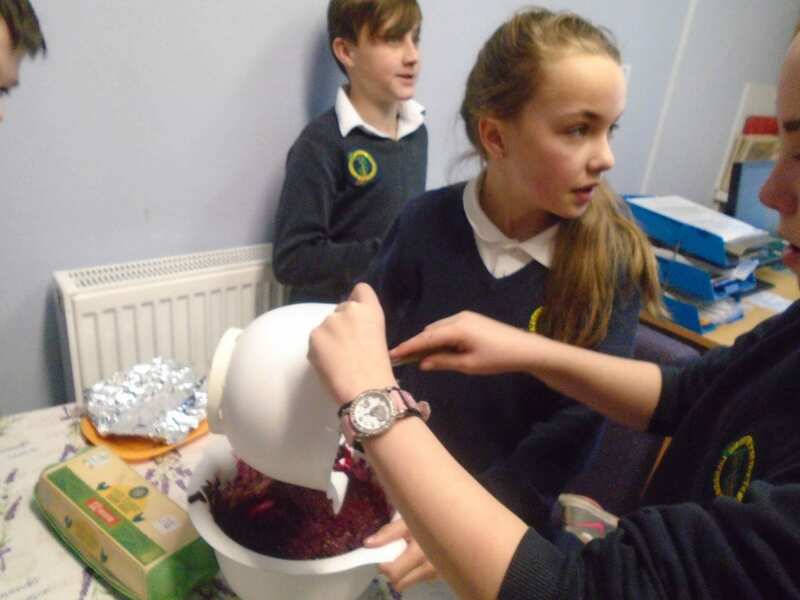 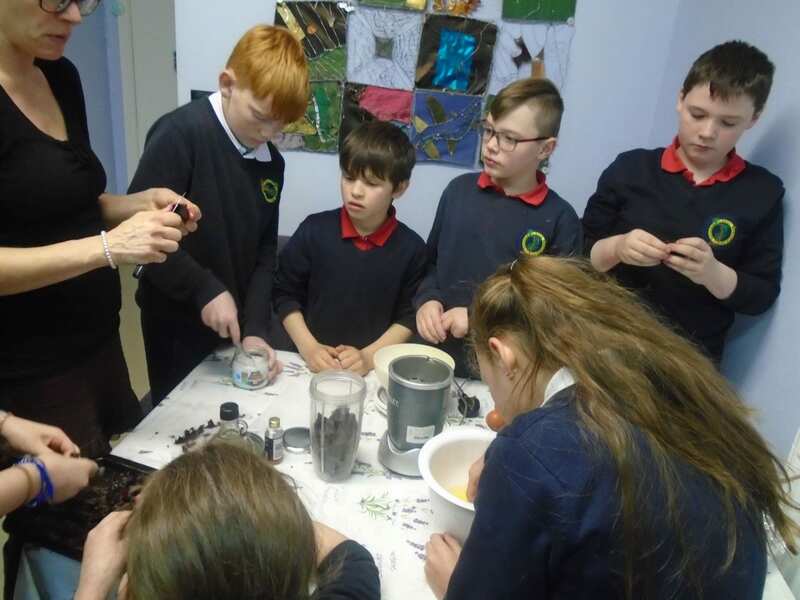 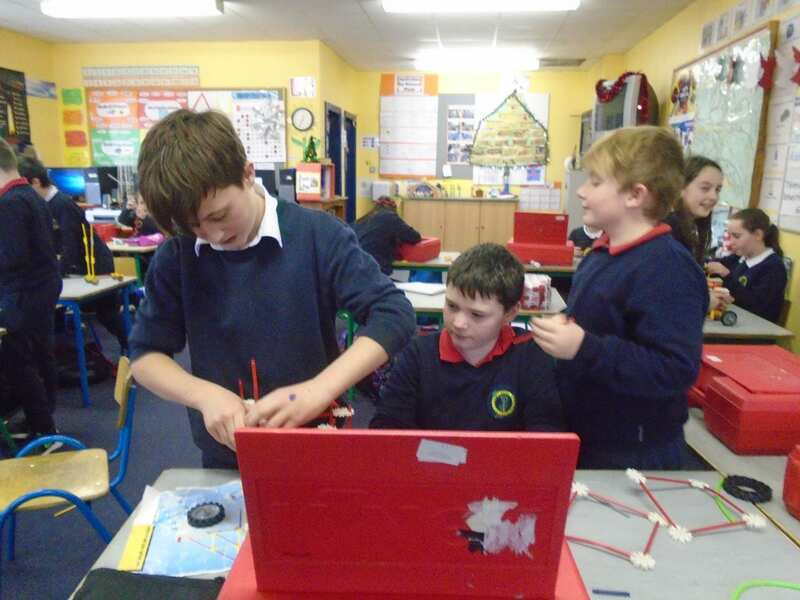 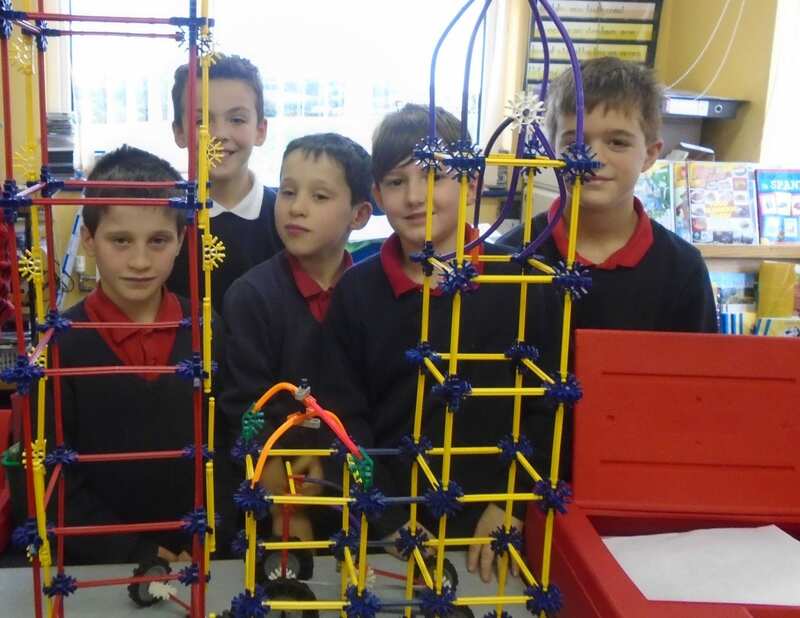 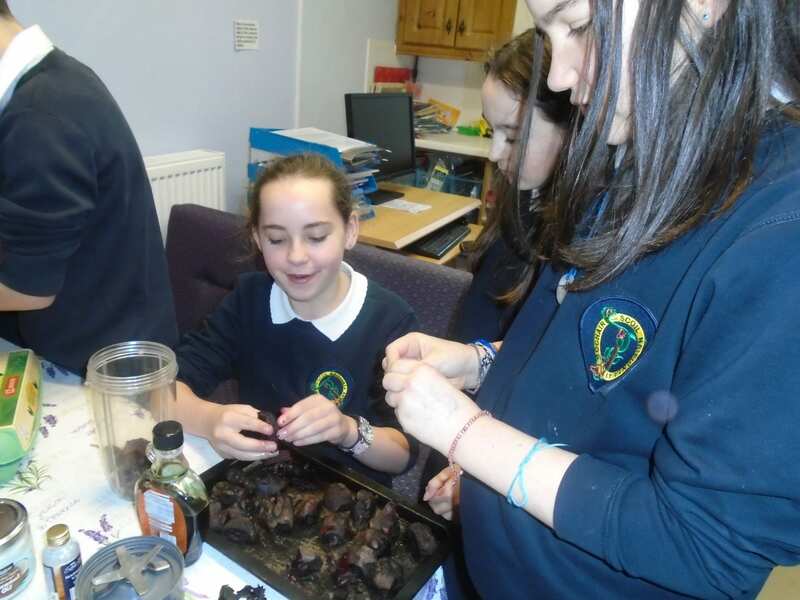 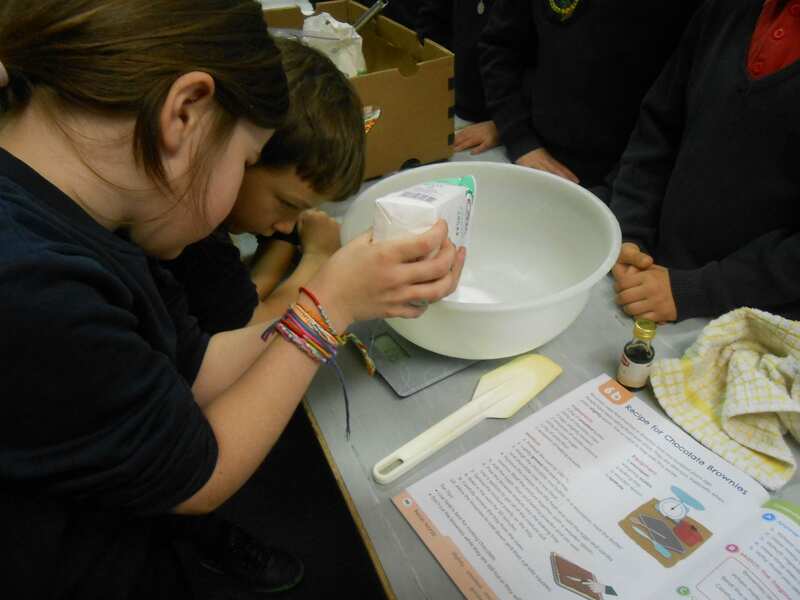 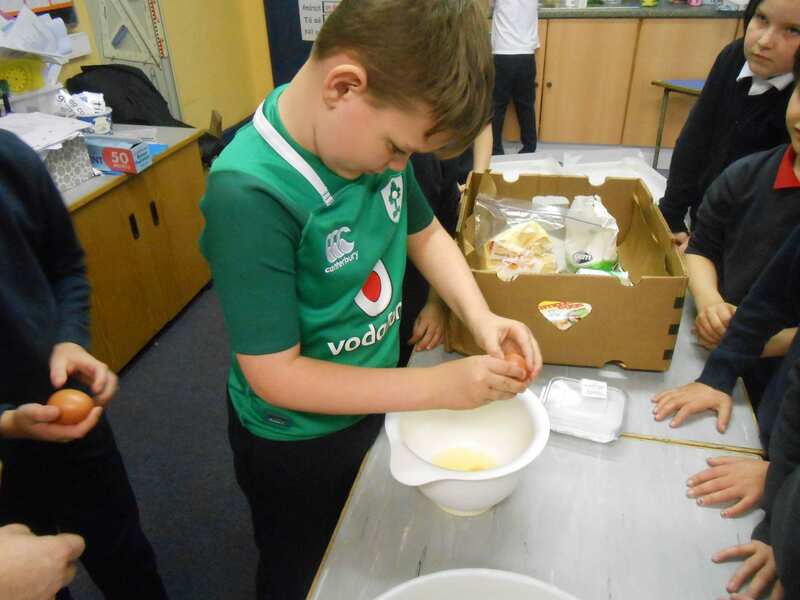 3rd – 6th were asked to construct a bridge as part of engineering week. 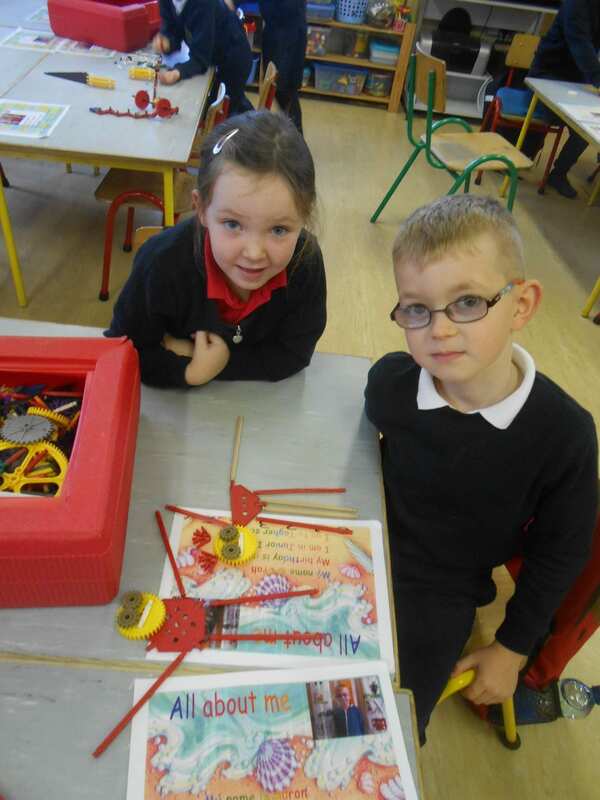 Photos will be placed here during the week. 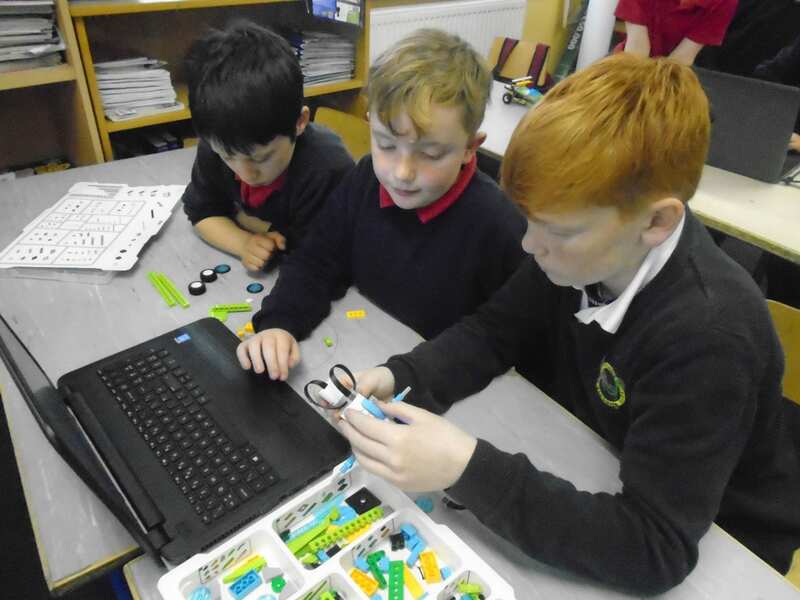 As part of our Robotics and Coding initiative the children have been busy exploring their WeDo 2.0 sets. 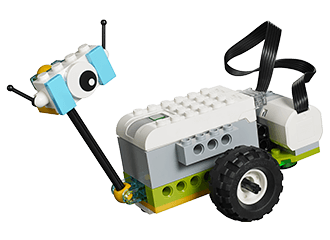 WeDo 2.0 is based upon the latest science standards and was created to enhance students’ curiosity and science skills. 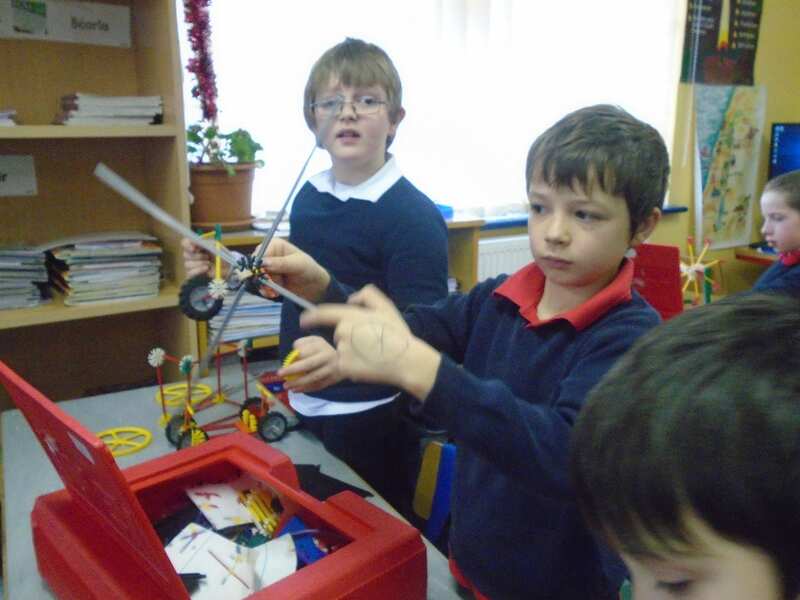 With real-world science projects, including engineering, technology and coding, students experience how science comes to life. 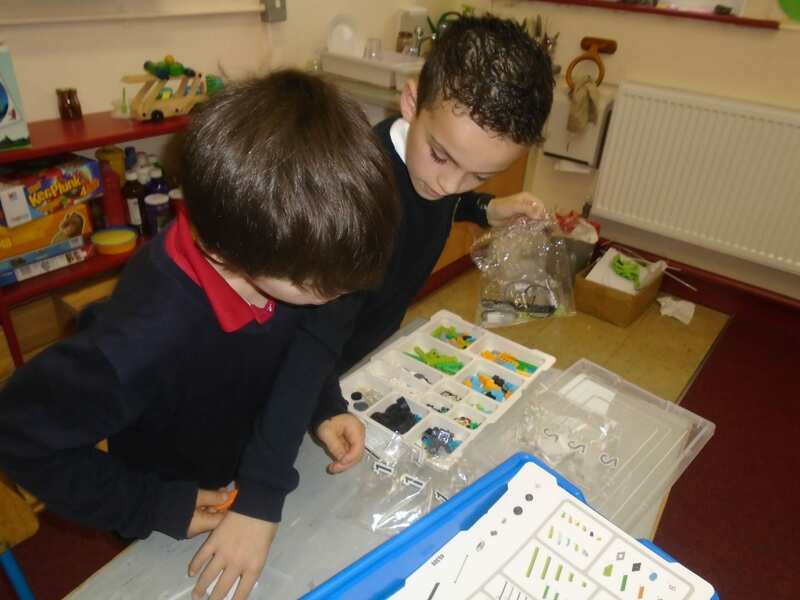 WeDo 2.0 builds students’ confidence to ask questions, define problems and design their own solutions, by putting discovery in their hands and their minds. 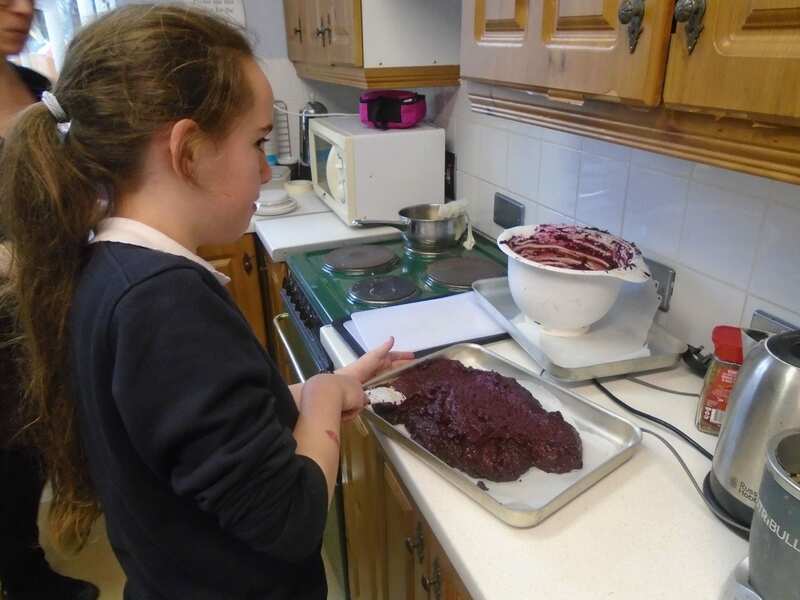 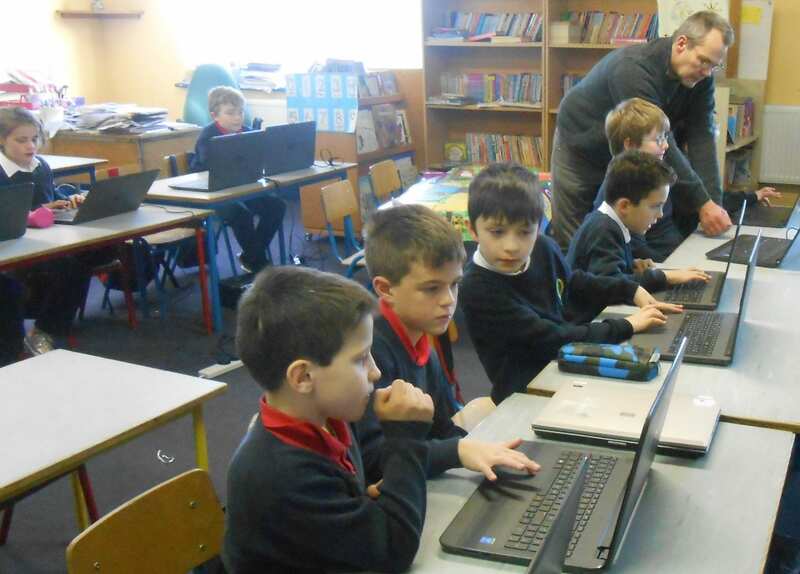 The children in the Senior Room have been really engaged in our School Excellence – Digital programme this week. 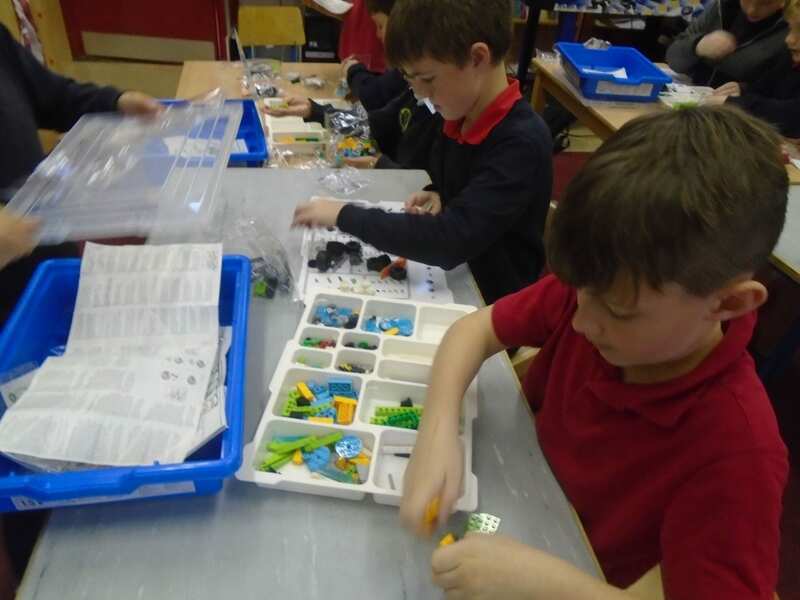 Our “hands-on mind-on” approach to learning engages children, sparks creativity, develops critical thinking skills, and is just fun! 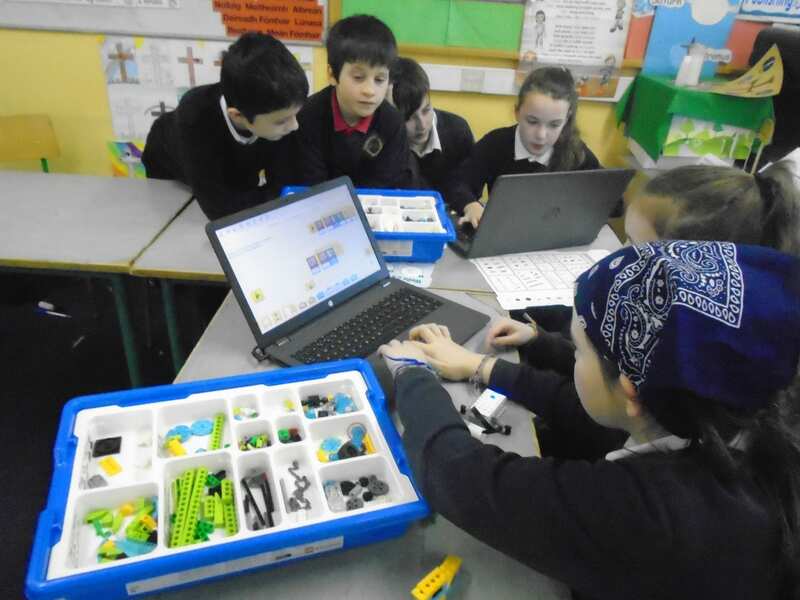 LEGO WeDo 2.0 brings to life the building elements that motivate children to collaborate, build, problem-solve, and explore, all while deepening their STEM learning and developing 21st-century skills. 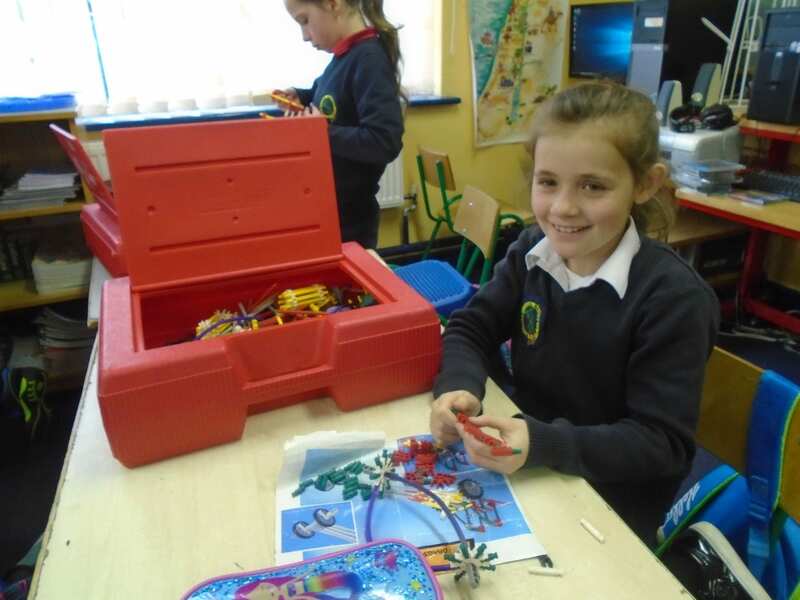 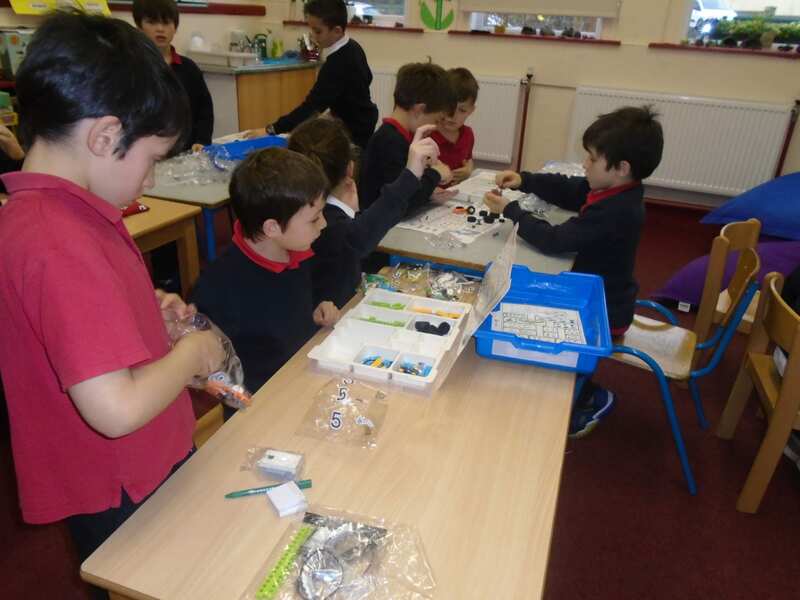 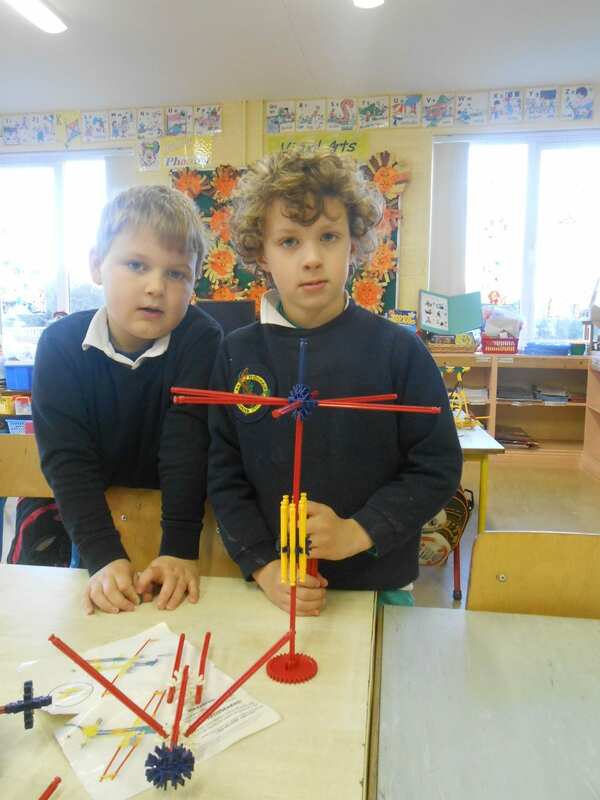 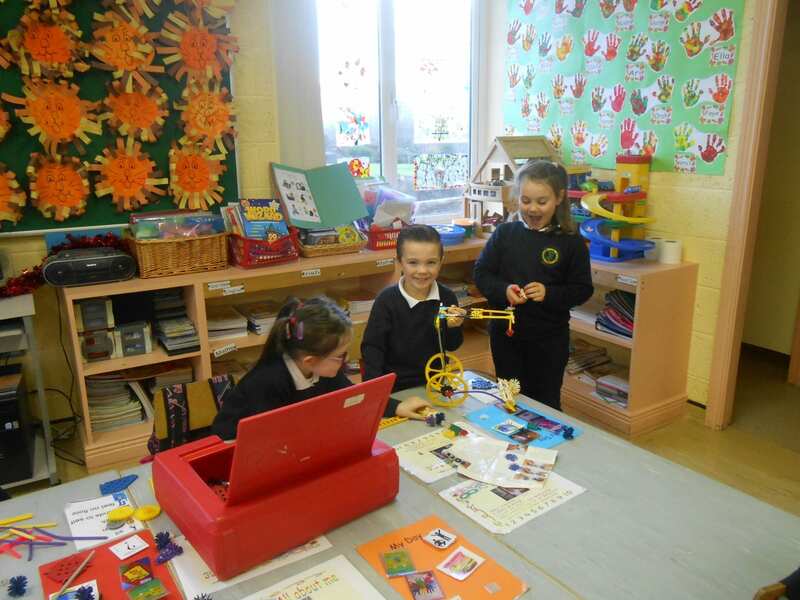 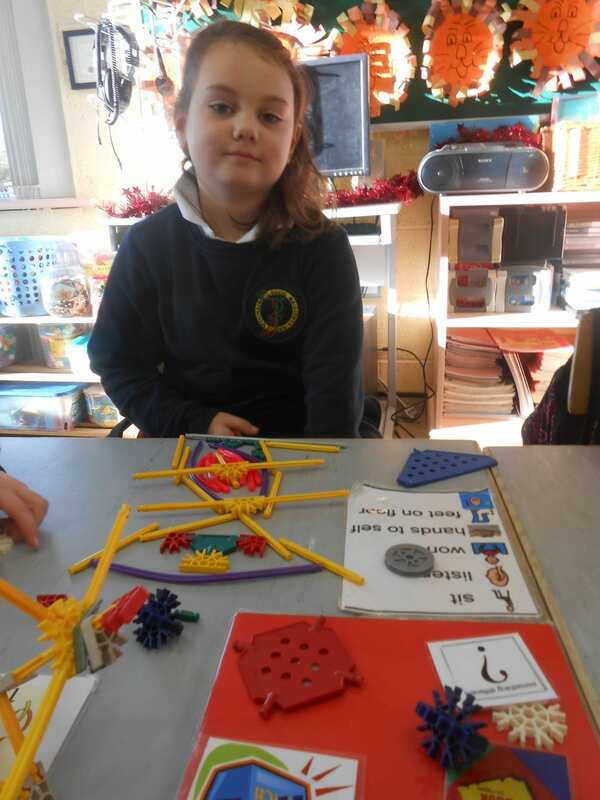 The children in Miss Daly’s room are having great fun during K’nex time. 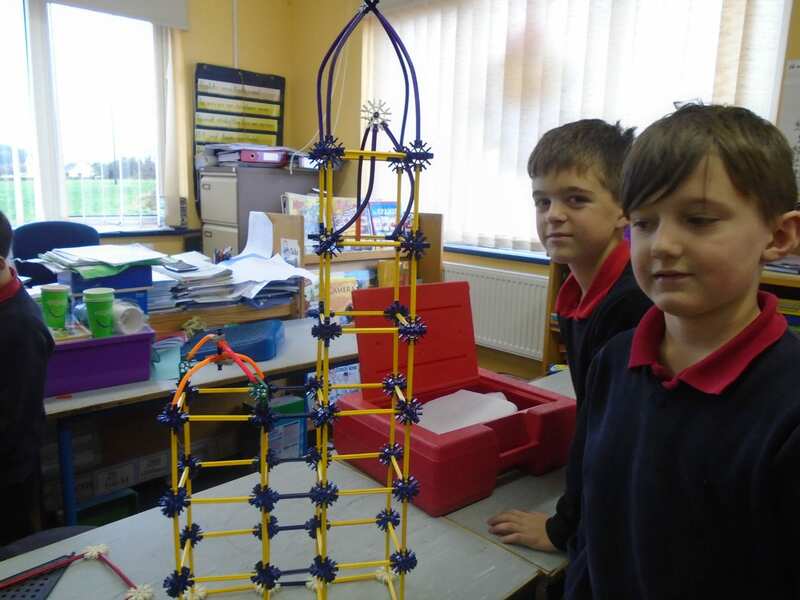 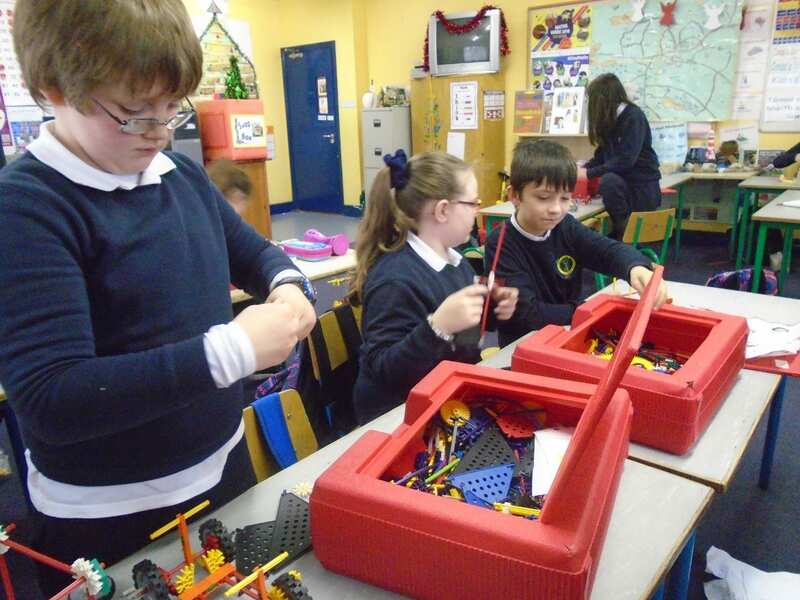 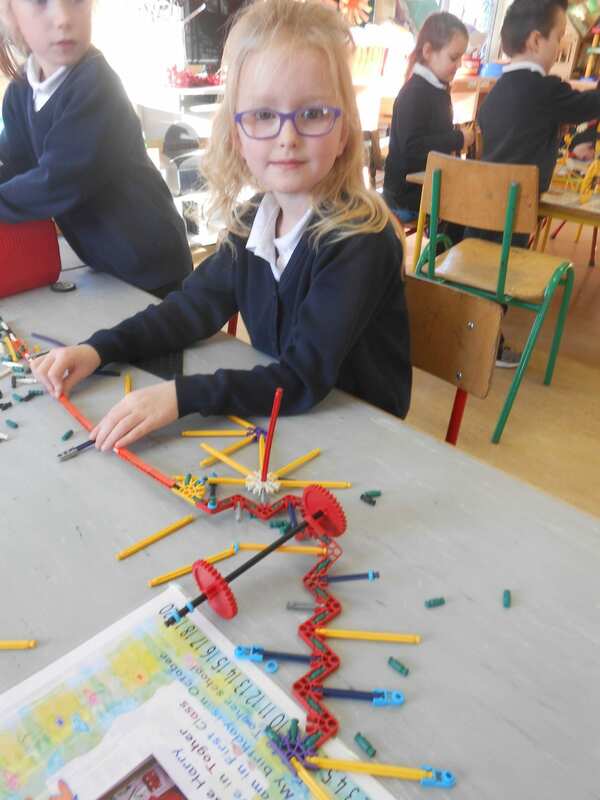 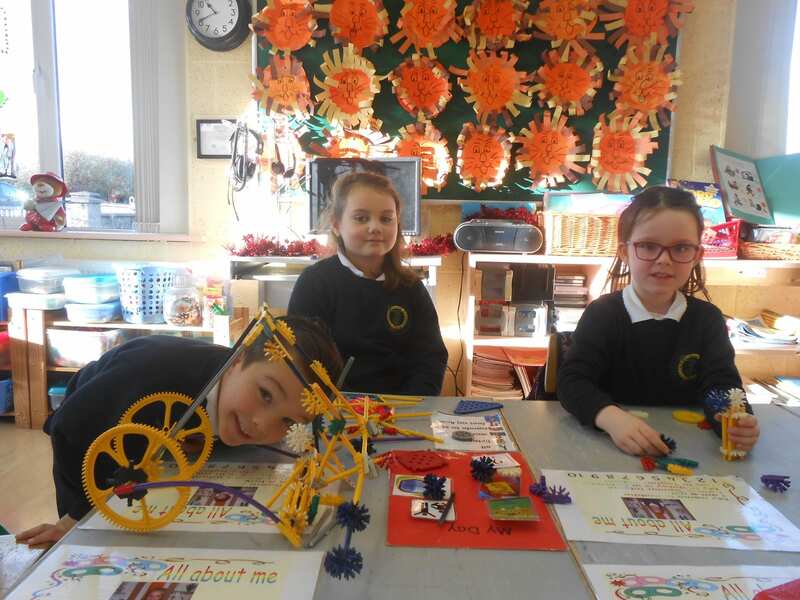 Building K’NEX models helps children to understand subjects such as structures, forces and simple machines while also helping to develop innovation skills, problem-solving skills and team-working skills. 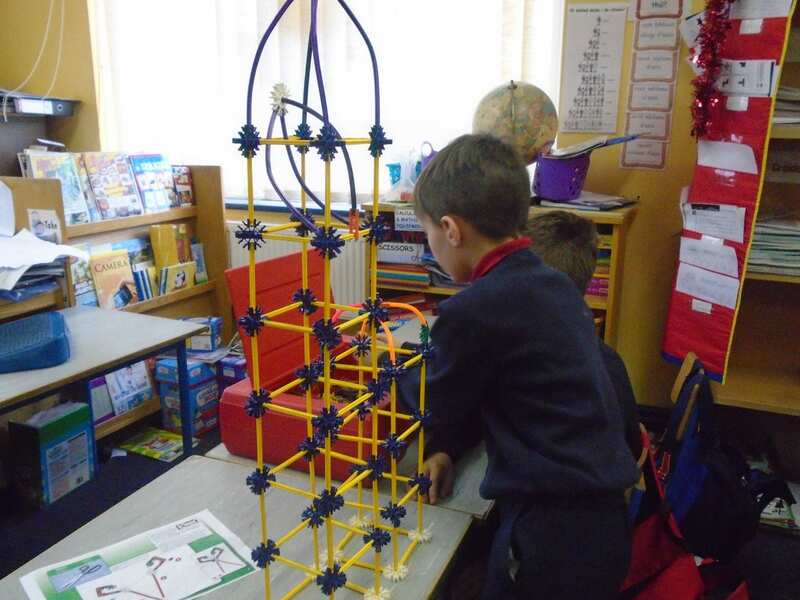 K’NEX STEM building sets teach children the core disciplines of Science, Technology, Engineering and Mathematics and how to also have fun while learning! 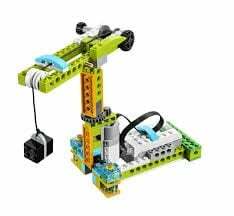 These sets provide children with many educational benefits including – Building critical thinking skills, Problem-solving, Following directions, Forming new ideas, Analyzing, Innovating and Creativity. 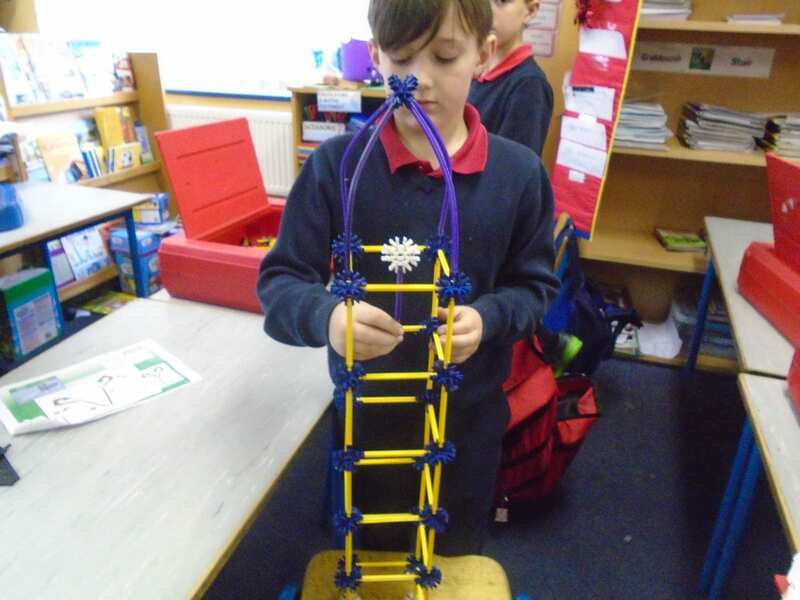 K’NEX nurtures the naturally curious minds of children, fueling imagination and creativity while simultaneously increasing their knowledge. 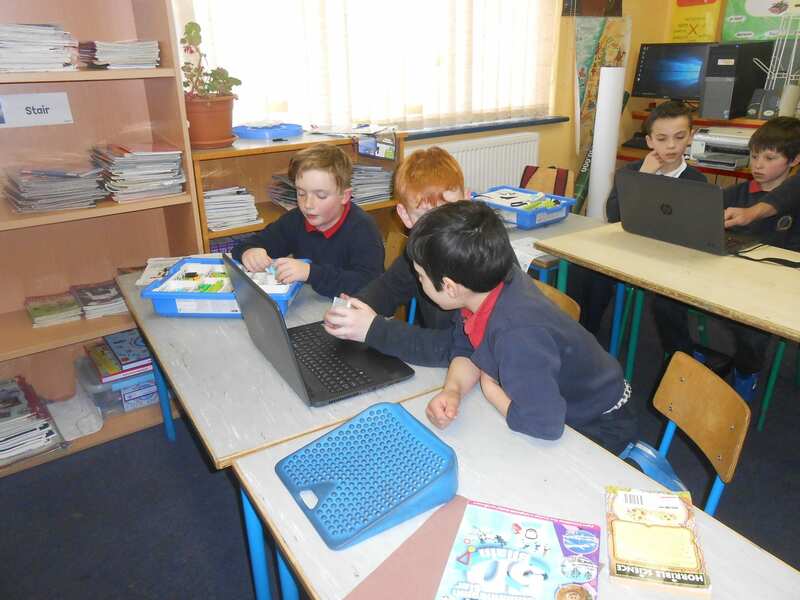 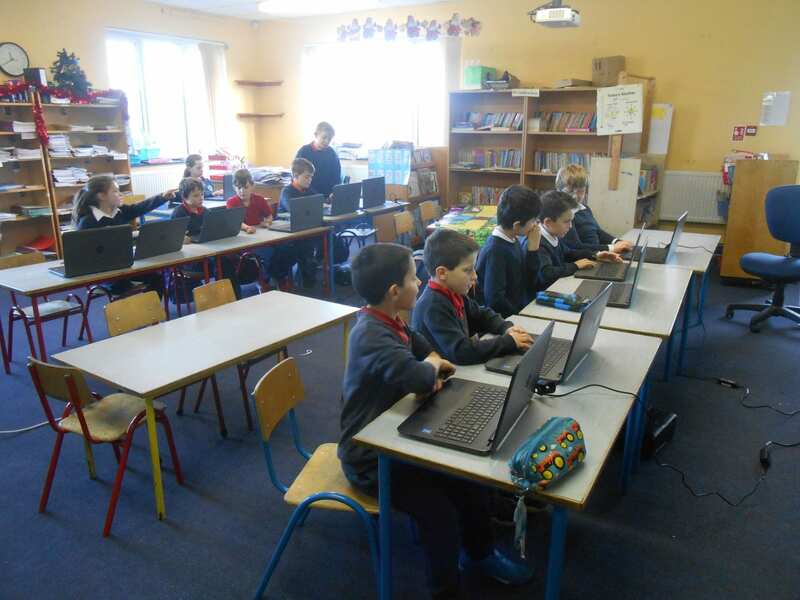 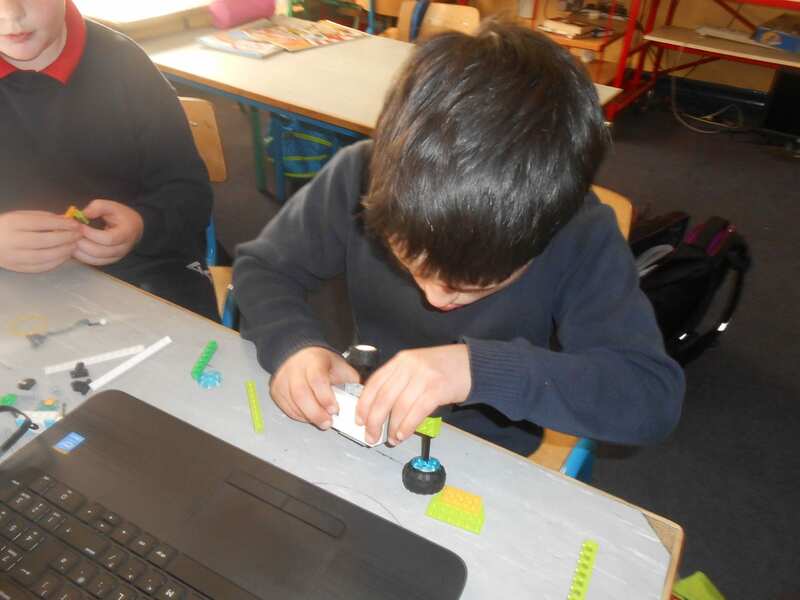 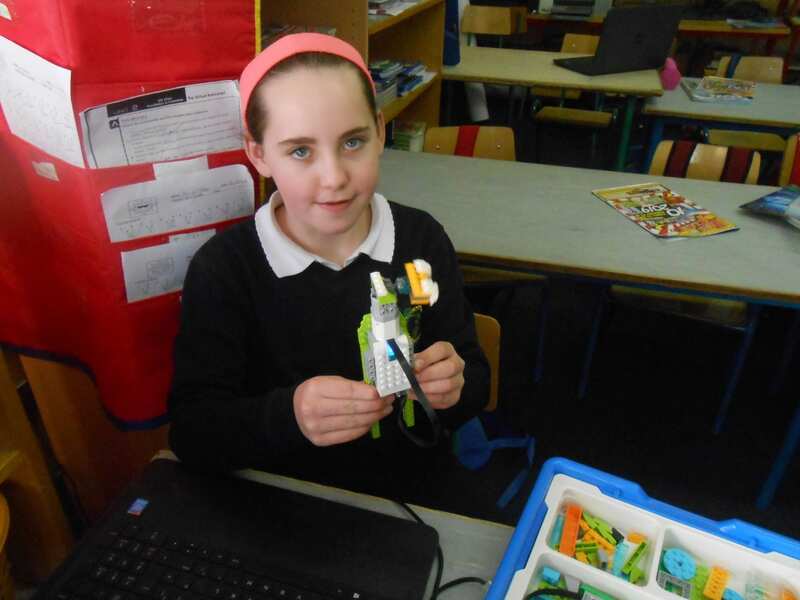 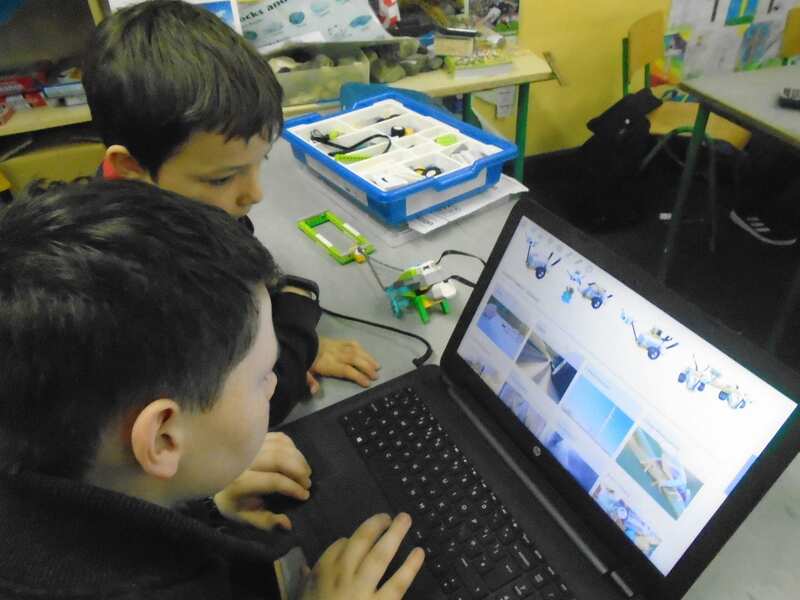 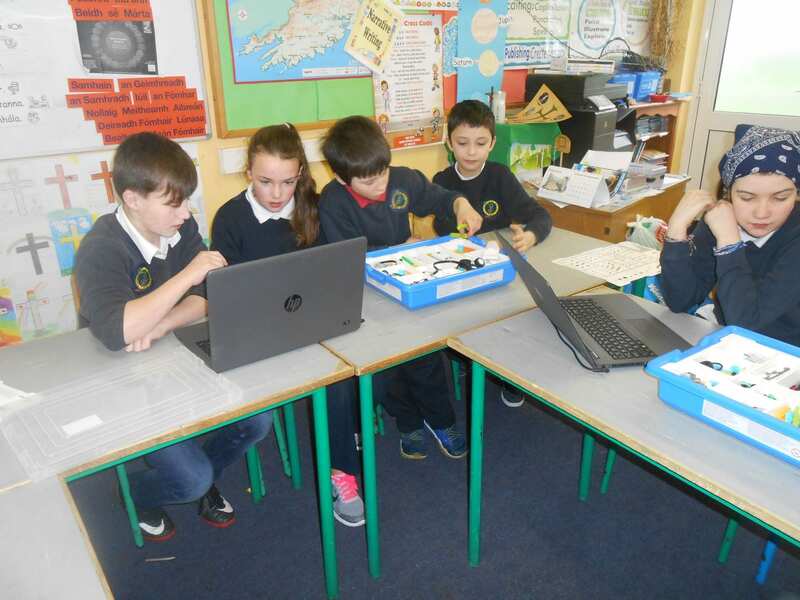 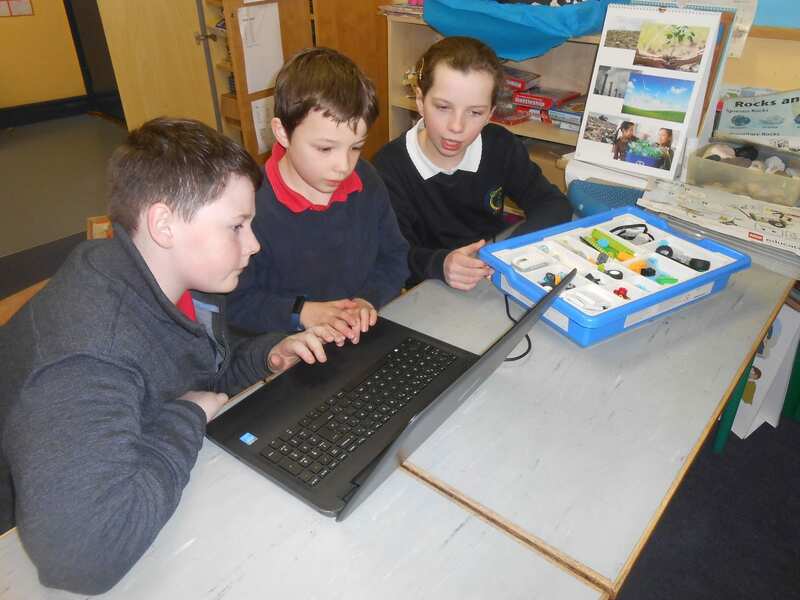 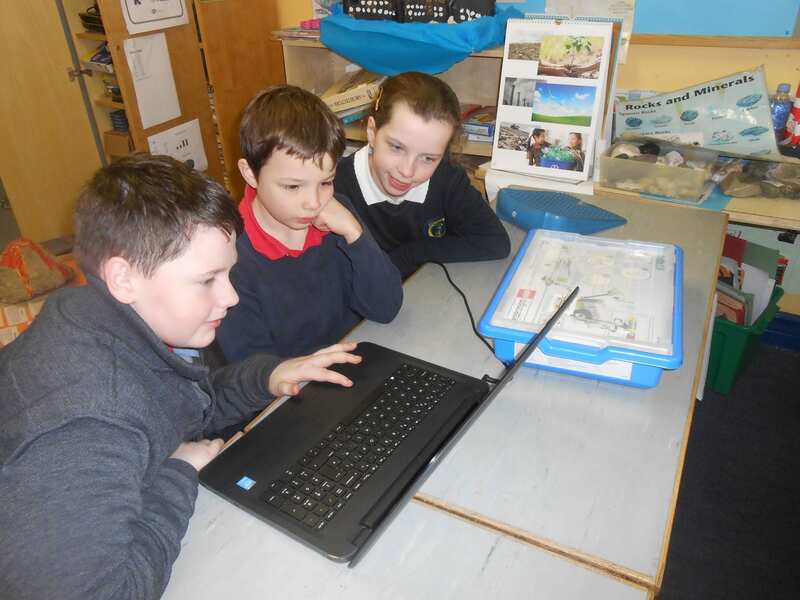 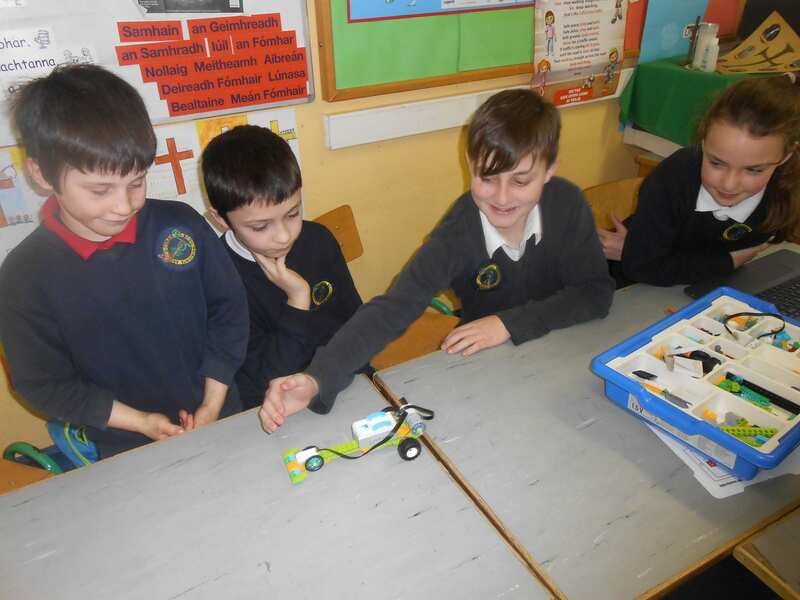 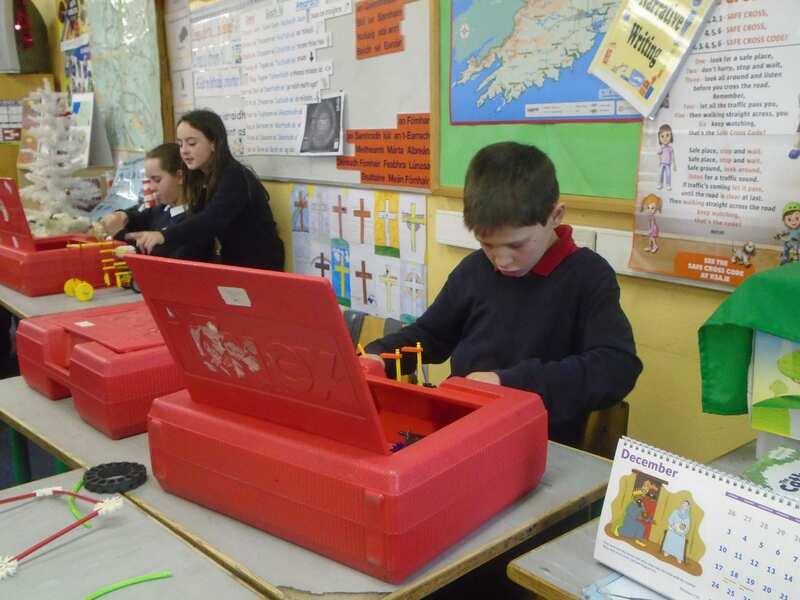 Scratch has become one of our favourite lessons at Togher National School. 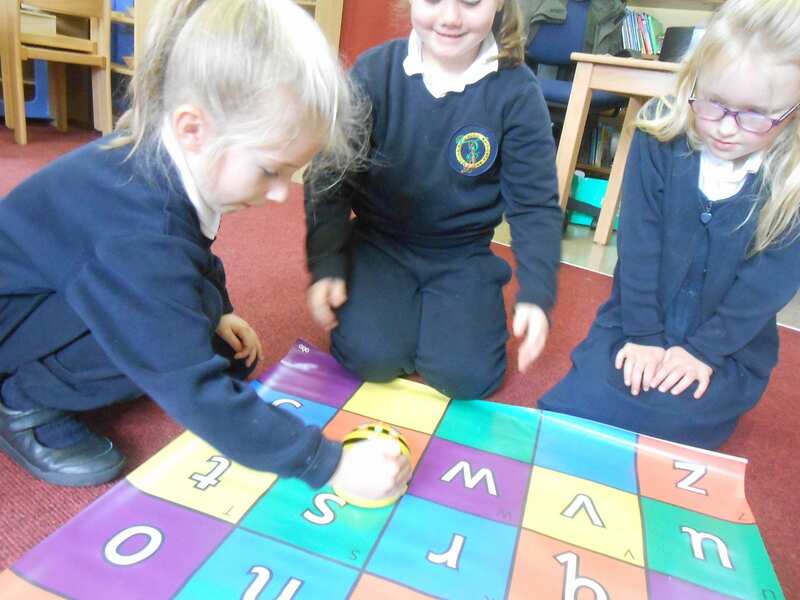 Scratch helps the children develop many numeracy skills in an exciting and enjoyable way. 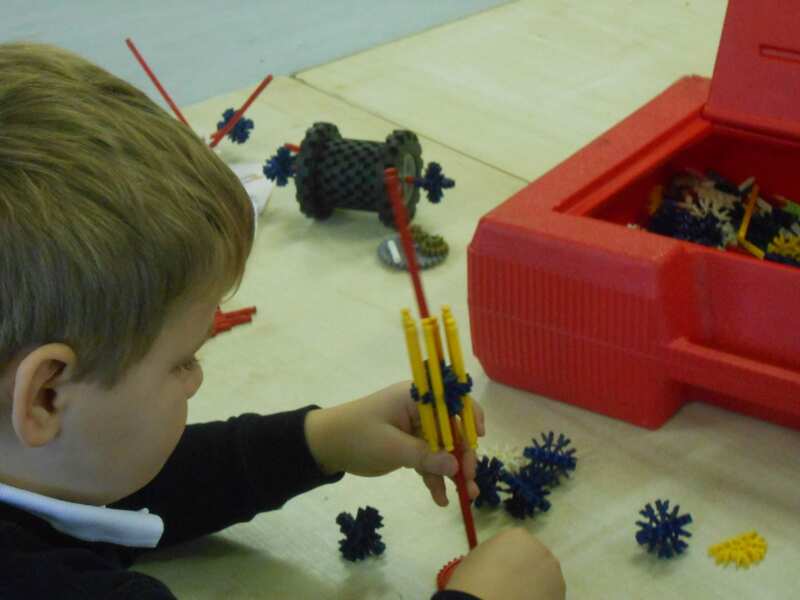 One of the main features of the lesson is the collaboration between the children – look at the pictures below and imagine the conversations. 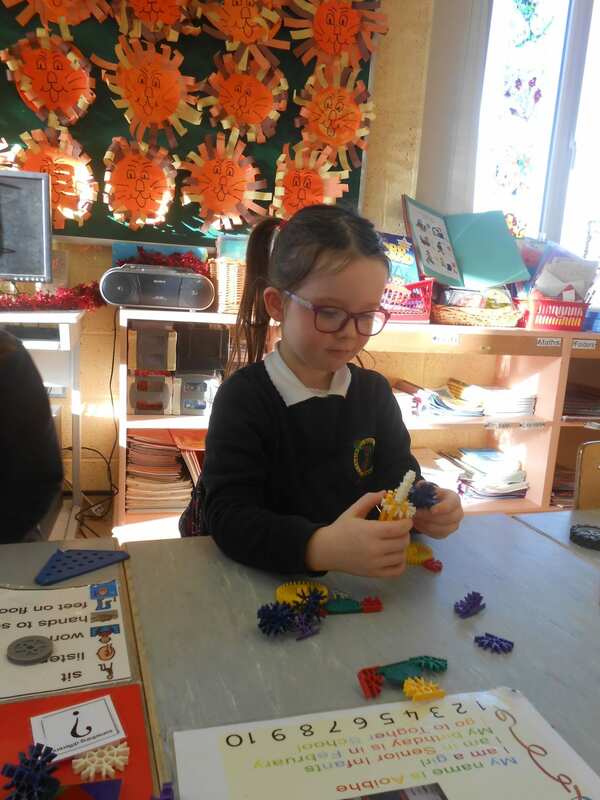 “How did you do that?” “How do I fix this?” “Look at this” “If you change that around it might work” “you need to put in a decimal point there”. 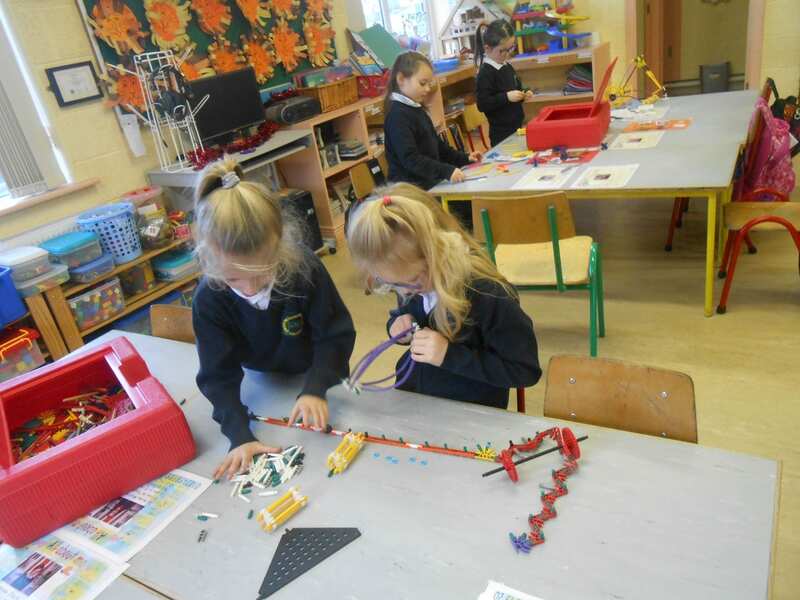 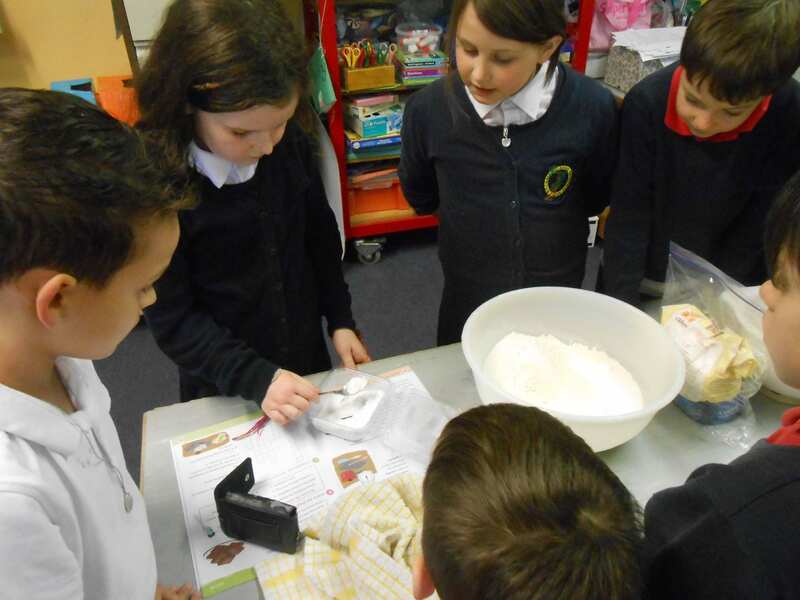 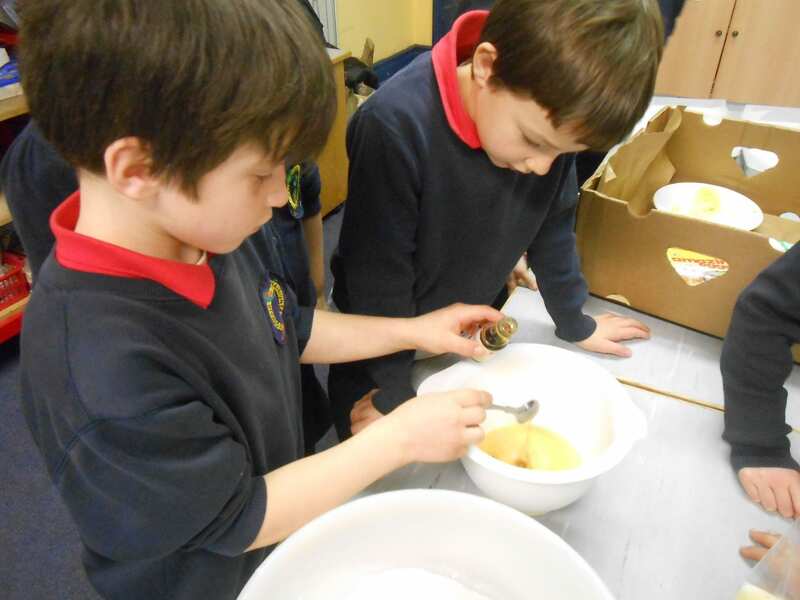 All the children are engaged with their learning and collaborating with each other. 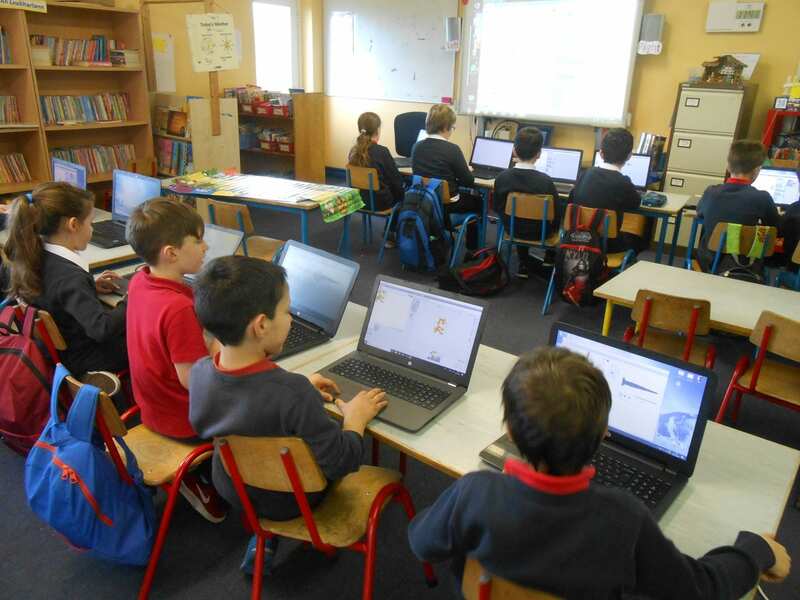 The children in 3rd and 4th classes have been busy creating their first Scratch script. 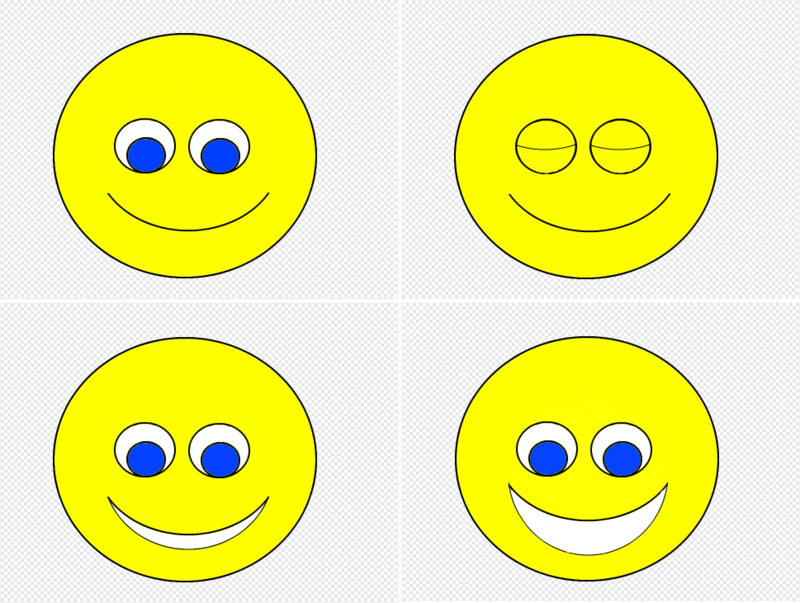 This simple script involved an animated Smiley Face that blinks and then smiles. 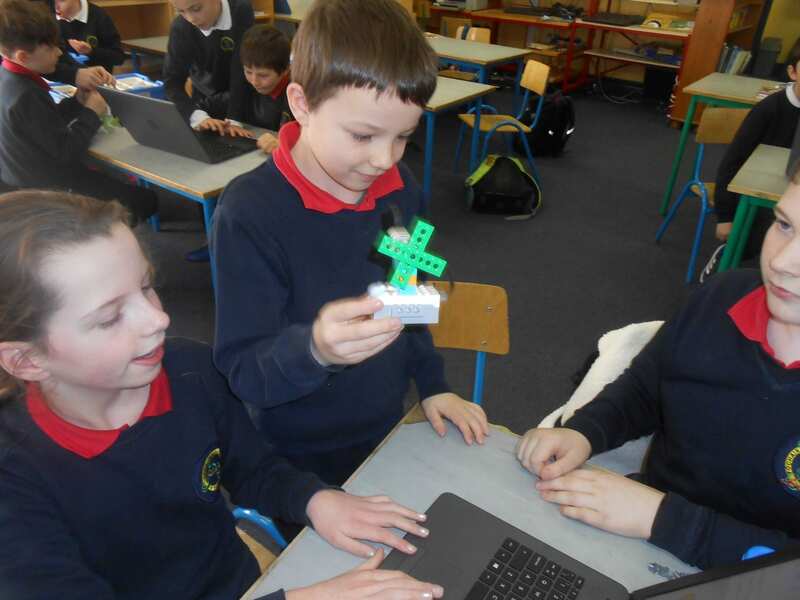 Have a quick look at the finished animation before we share the Scratch block programming. 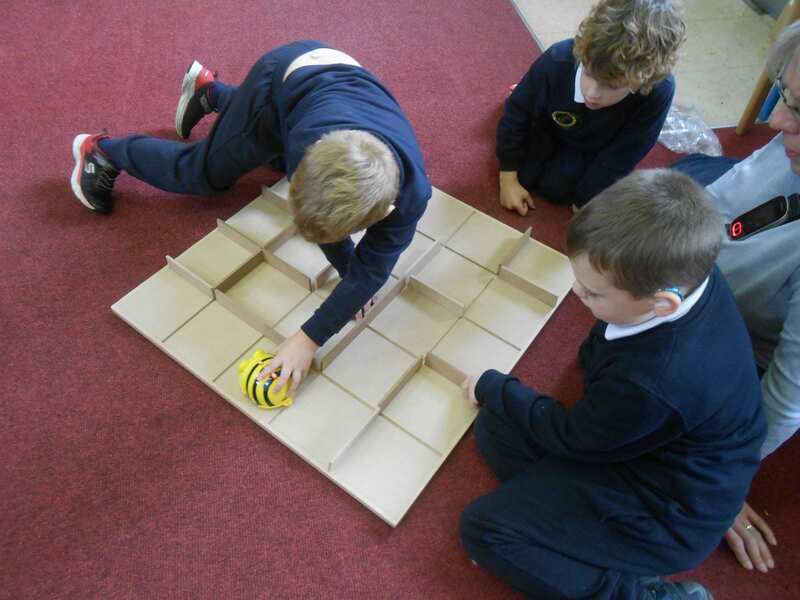 This animation involves just four pictures. 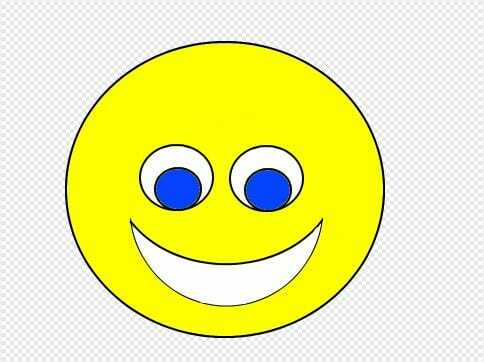 To create this animation the children first had to create the Smiley Face character or “sprite”. 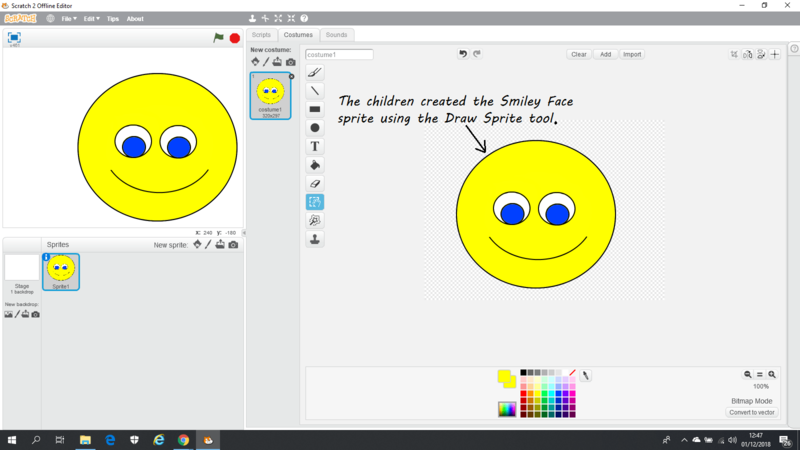 Scratch has a Draw Sprite option which is very user friendly and quite similiar to MS Paint. 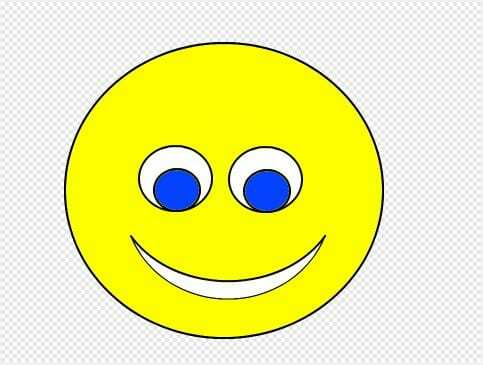 The children next duplicated the Smiley Face sprite and then edited the eyes to create the blink costume. 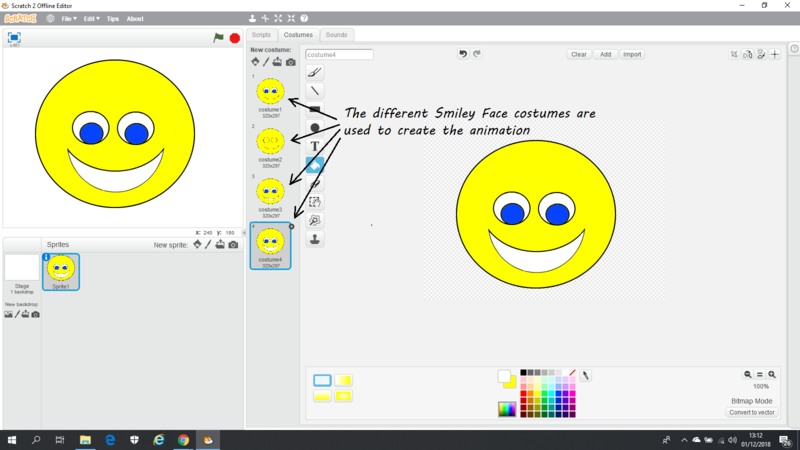 Another duplication of the Smiley Face was edited to create the start of a smile costume. 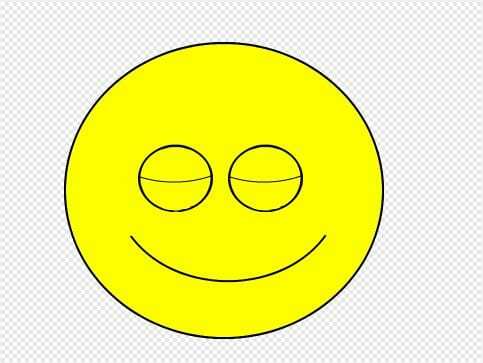 Another duplication of the Smiley Face was edited to create a full smile costume. 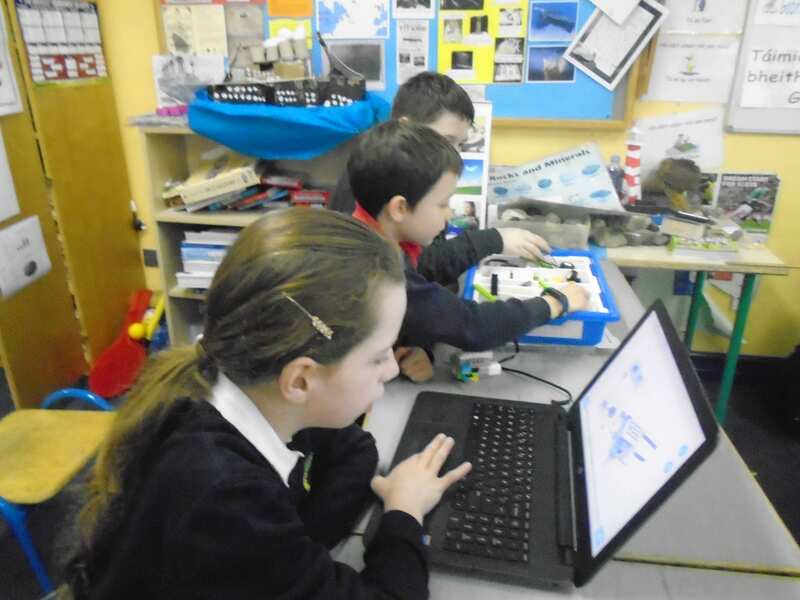 Next the children used Scratch blocks to create the code. 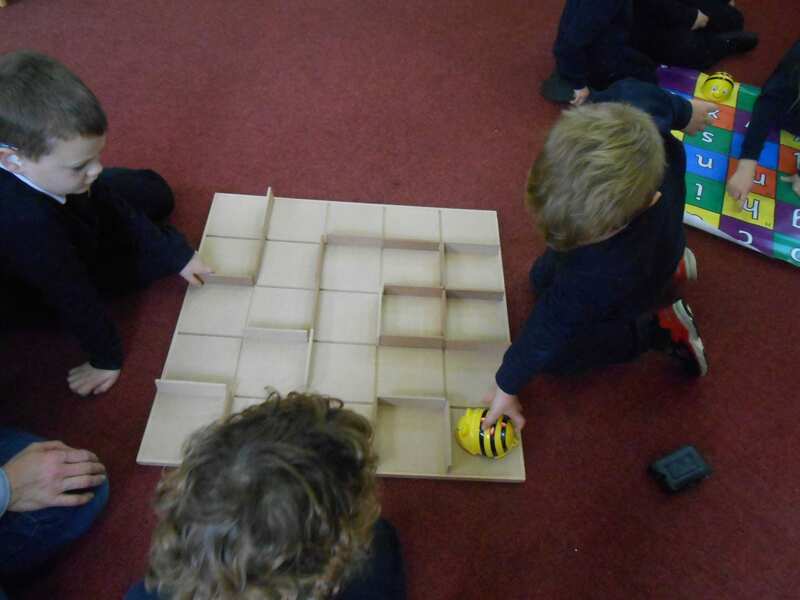 Blocks are puzzle-piece shapes that connect to each other vertically like a jigsaw puzzle. 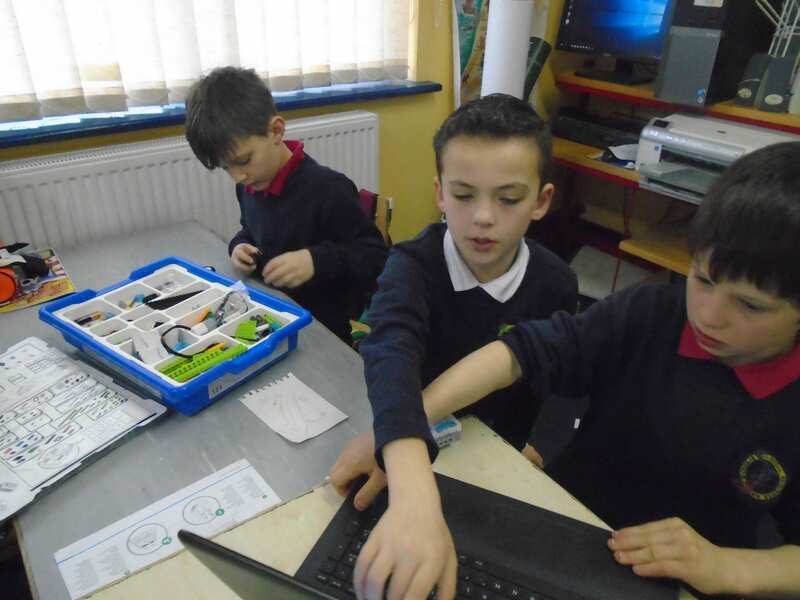 The Green Flag block starts the script. 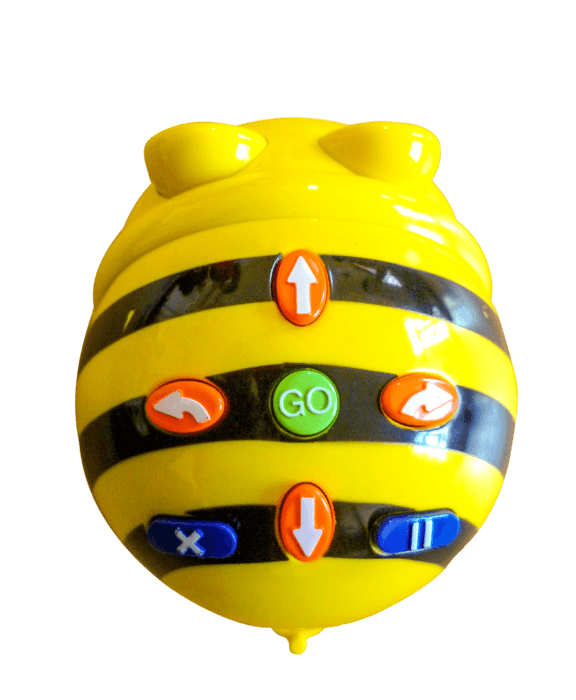 The switch costume block is used to change the appearance of the sprite. 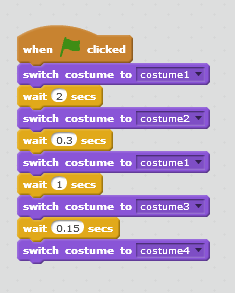 The wait block controls the length of time that each costume appears. 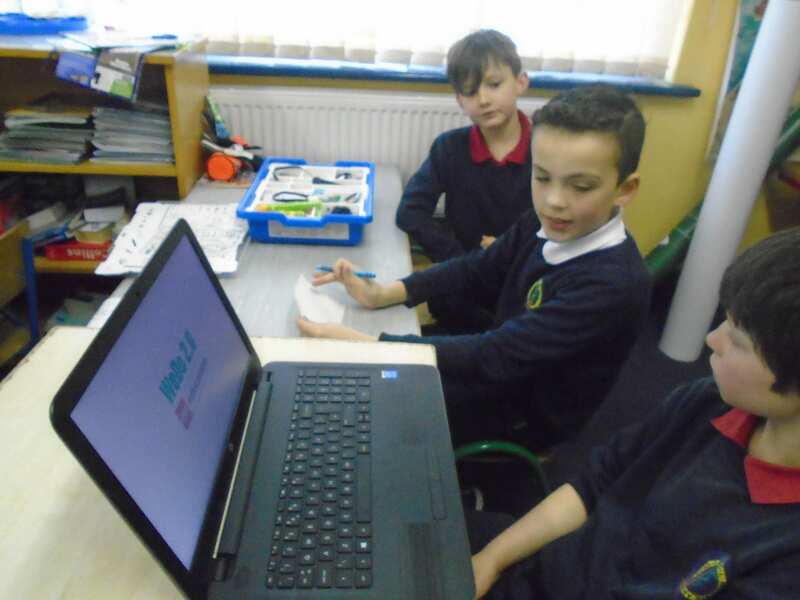 The finished script for our short animation. 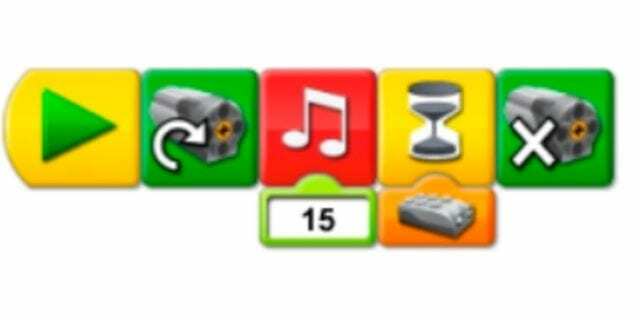 Scratch is free to download. 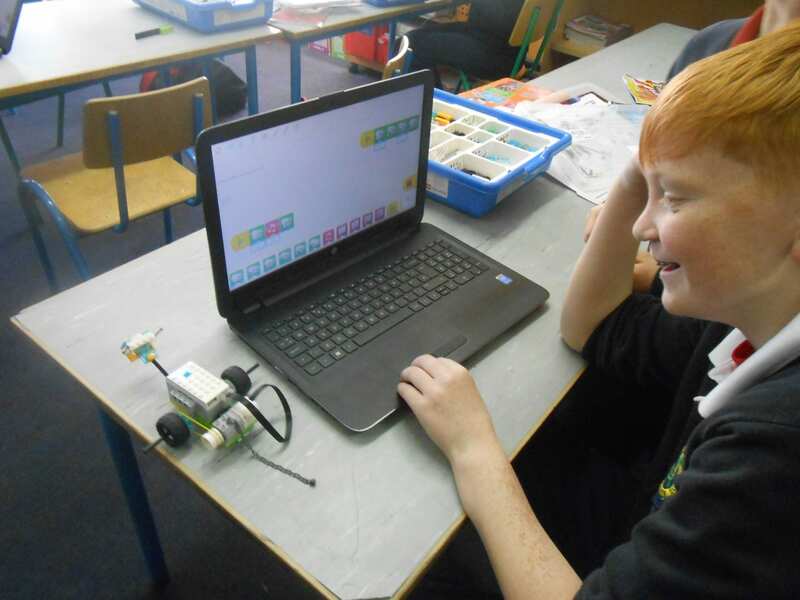 The Scratch Offline Editor can be downloaded here. 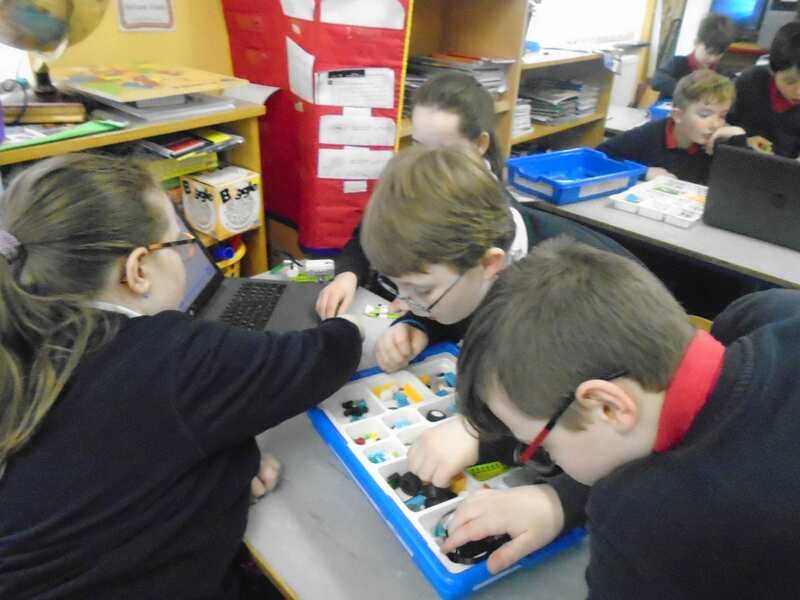 We are delighted to introduce LEGO Education WeDo 2.0 at Togher N.S. 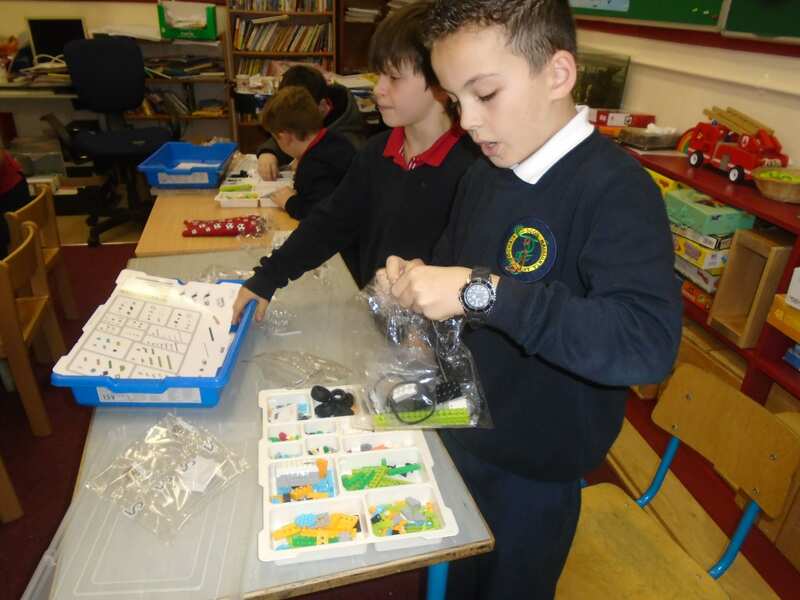 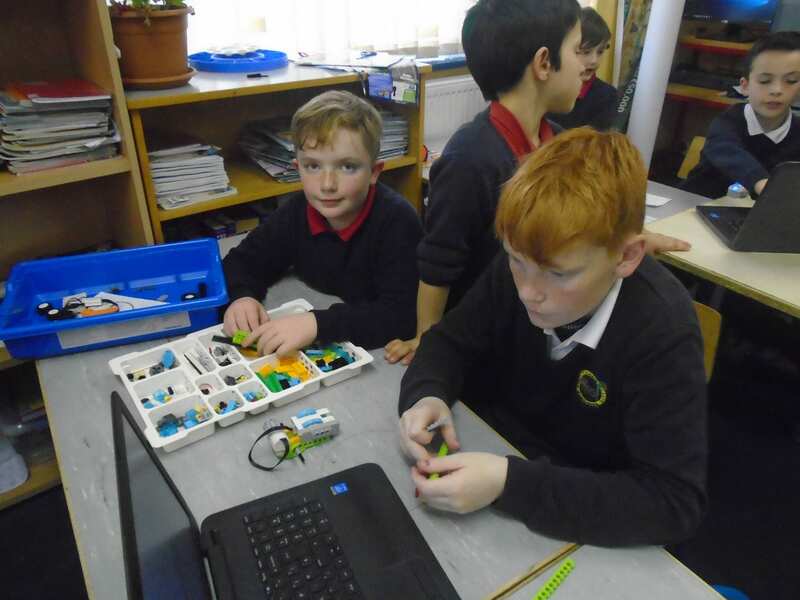 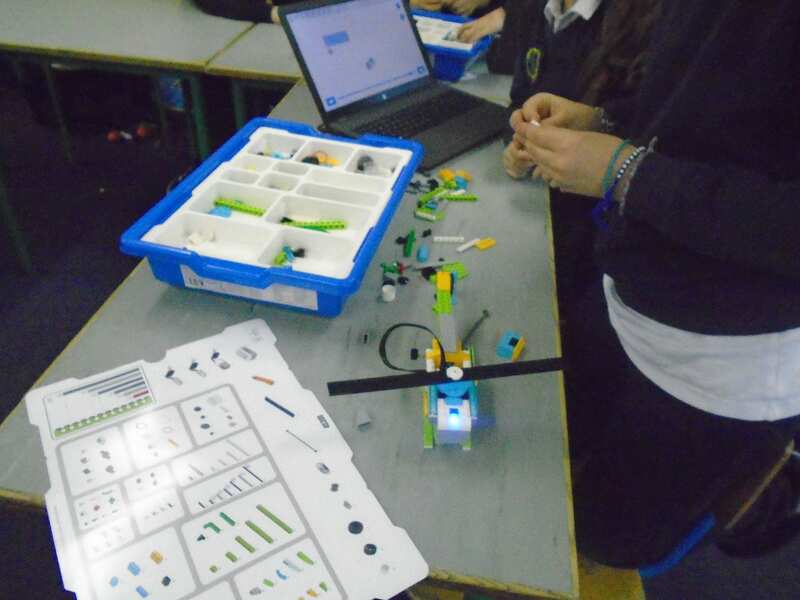 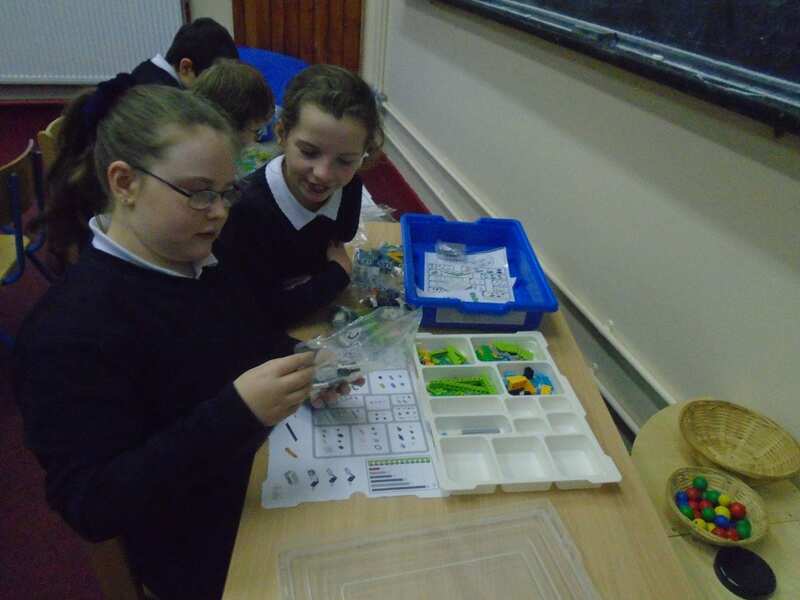 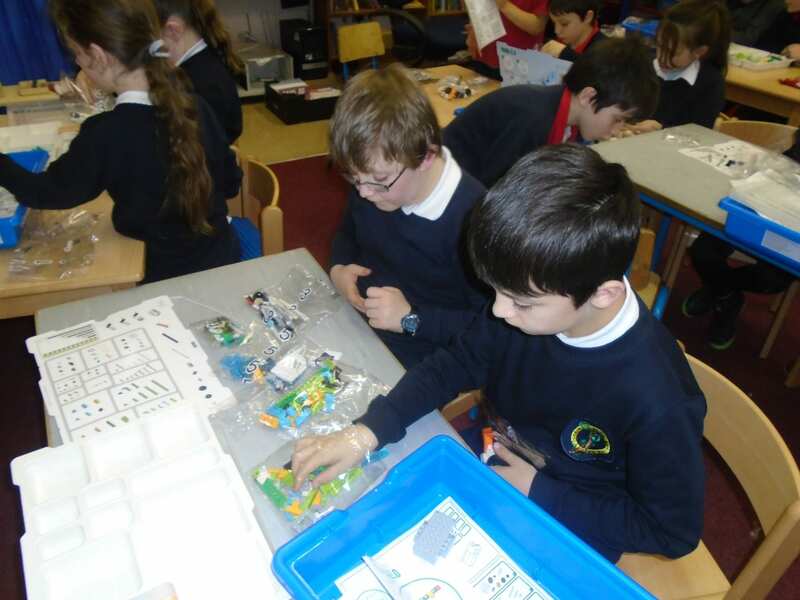 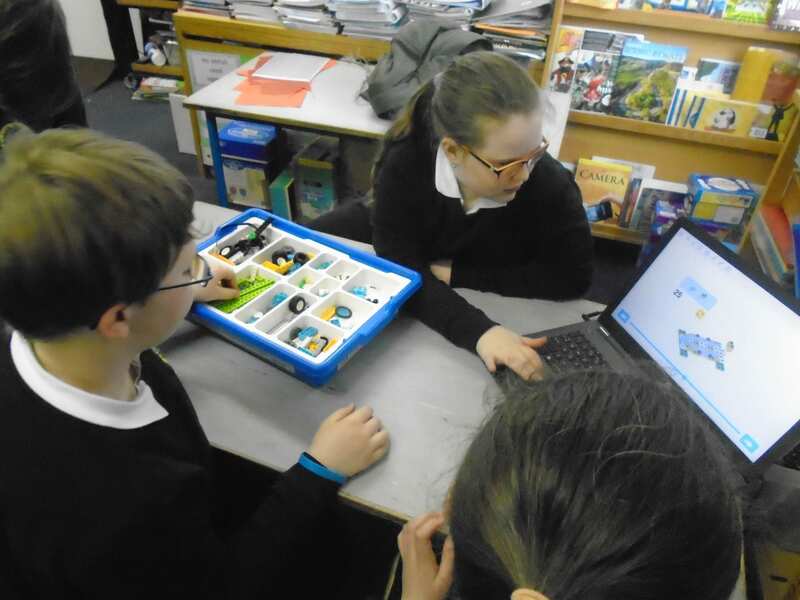 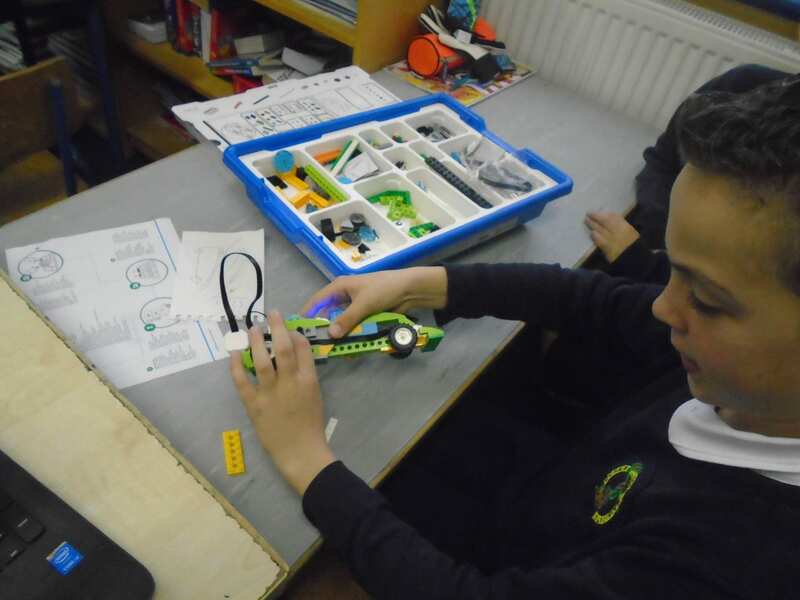 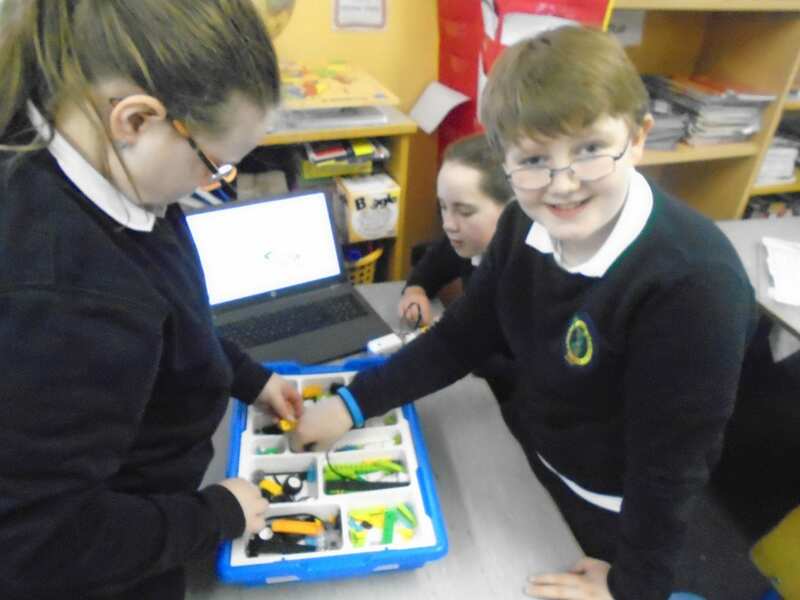 As part of our School Excellence – Digital project we have invested in these hands-on STEM kits that combine the LEGO brick, classroom-friendly software, engaging standards-based projects and a discovery based approach. 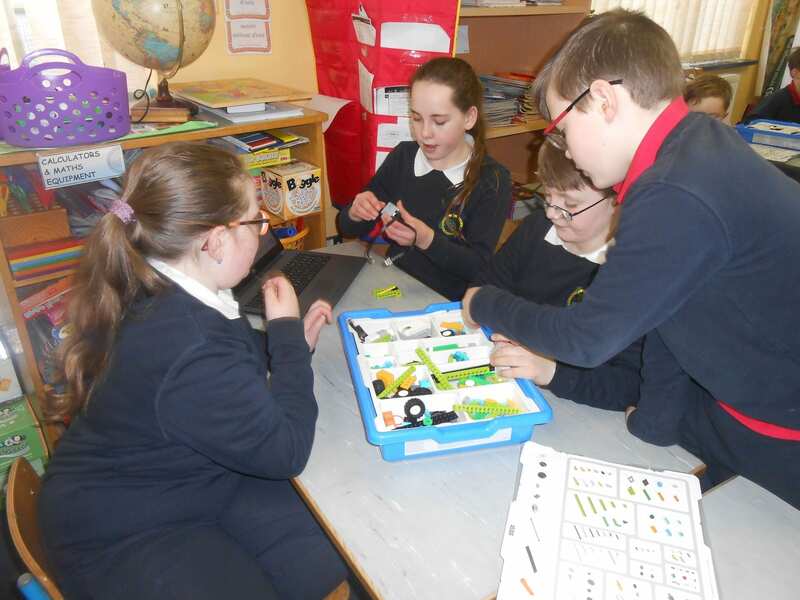 Designed with collaboration in mind, each Core Set introduces our children to computational thinking and engineering principles in a fun and engaging way. 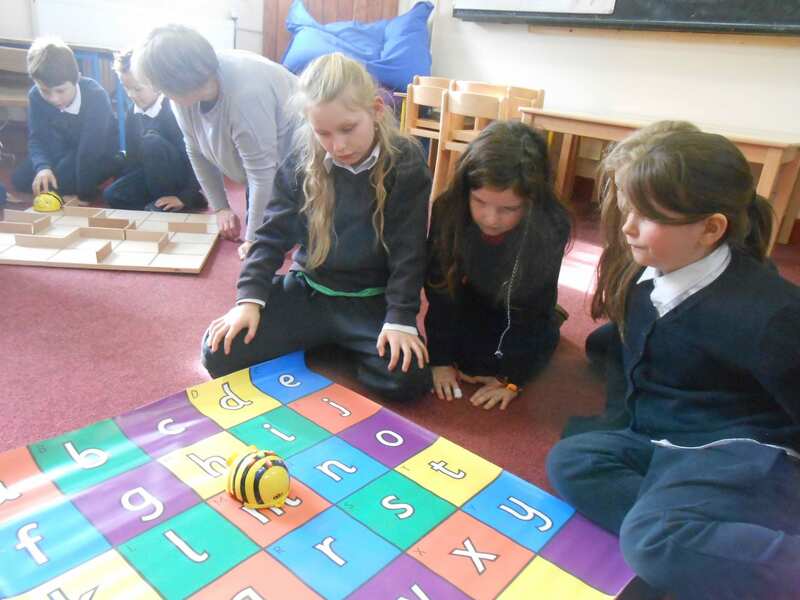 The children in the Junior Room have been getting to know our new, colourful, easy-to-operate and friendly little Bee-Bots. 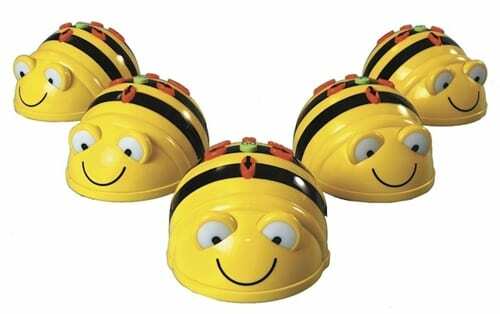 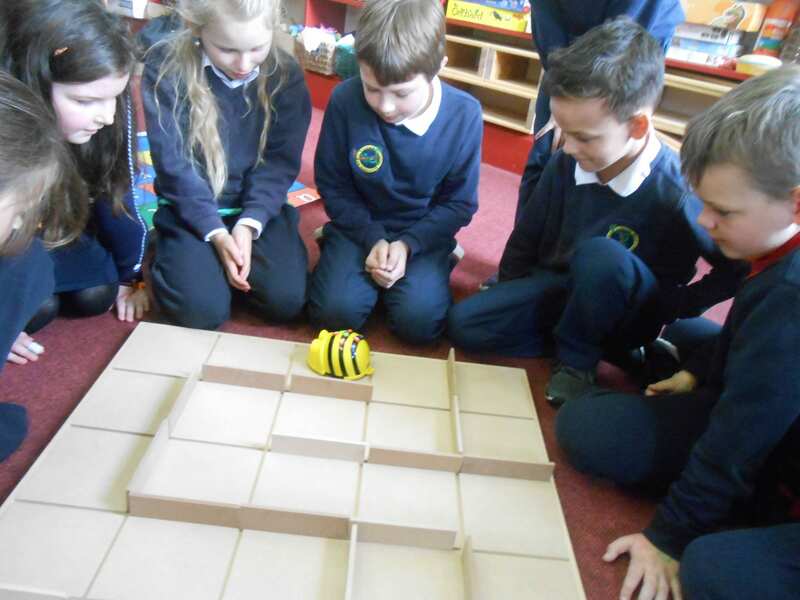 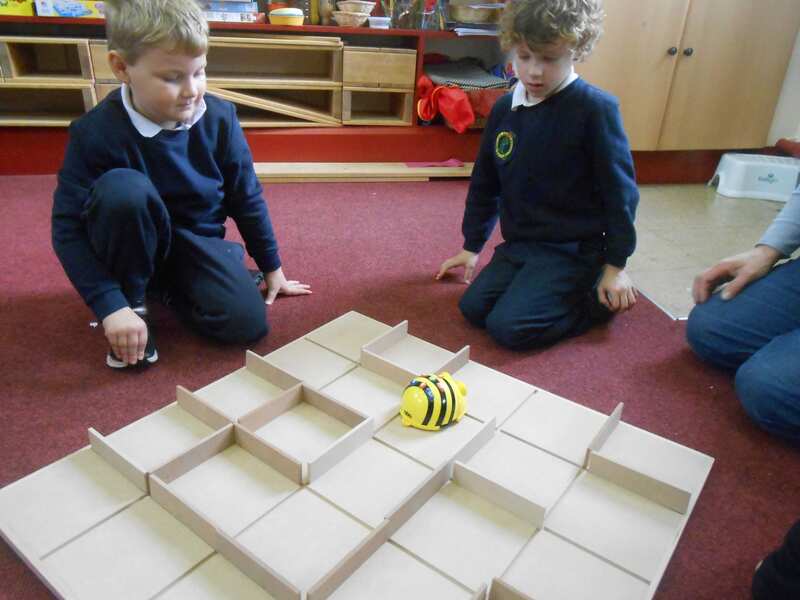 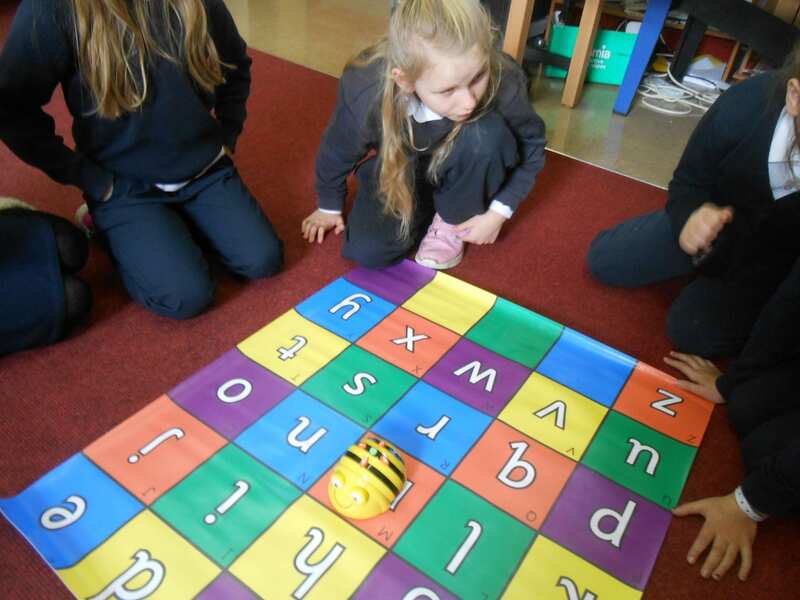 An award winning programmable floor robot, the Bee-Bot has a simple and child friendly layout and is the perfect starting point for teaching counting, sequencing, estimation, problem-solving , directional language and programming to young children.